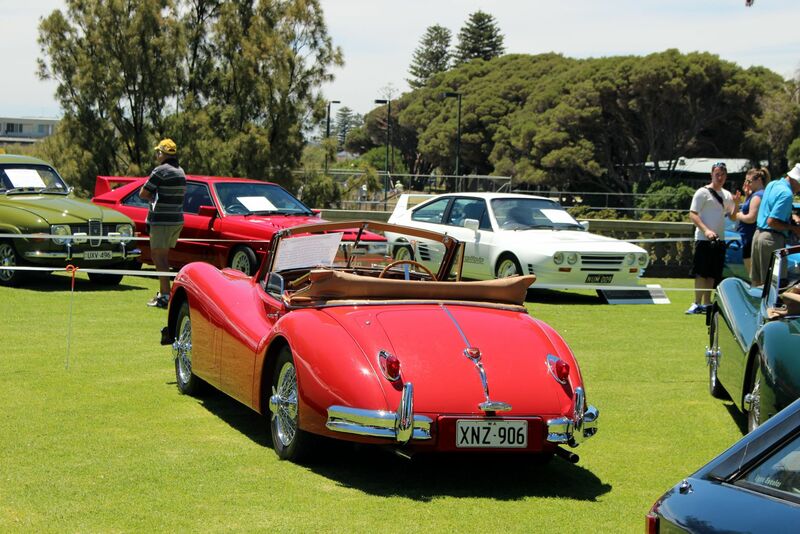 Details and photos of the 2014 show are below. 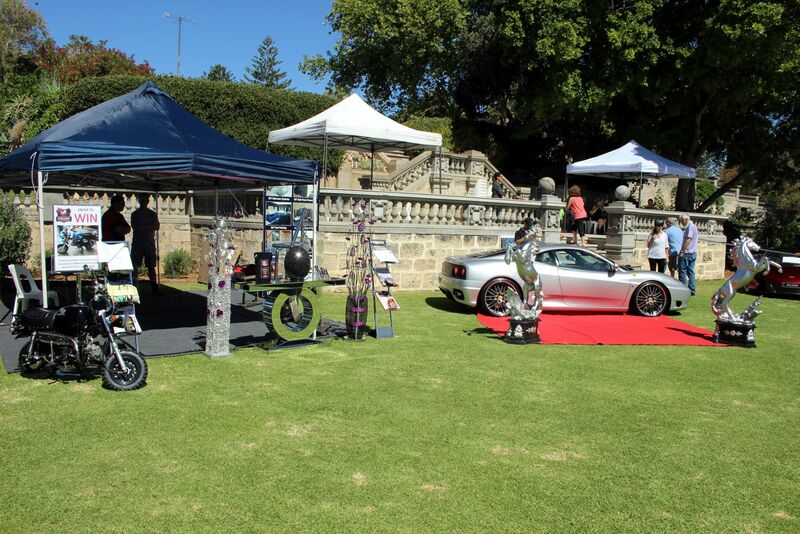 What an amazing day… the comments from everyone were tremendously positive throughout the day and afterwards. 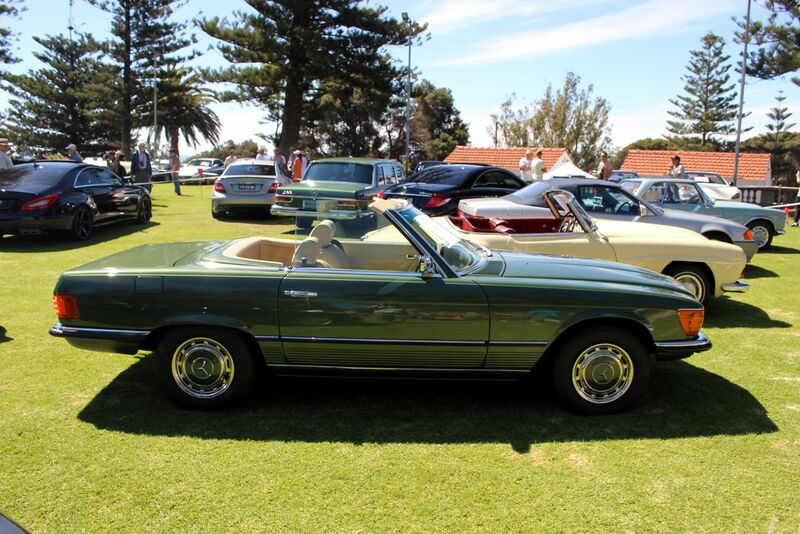 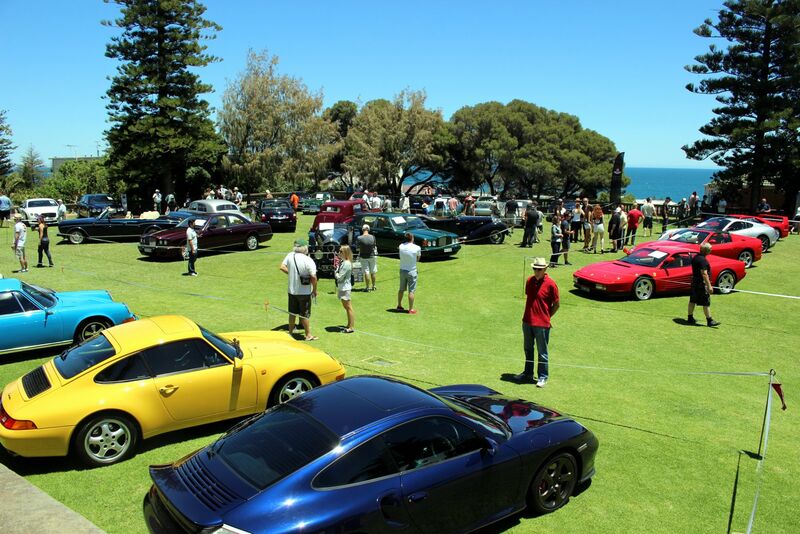 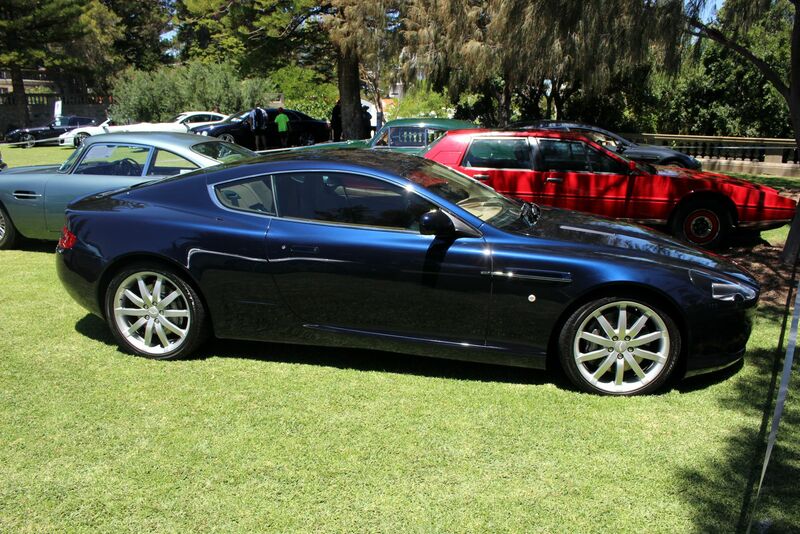 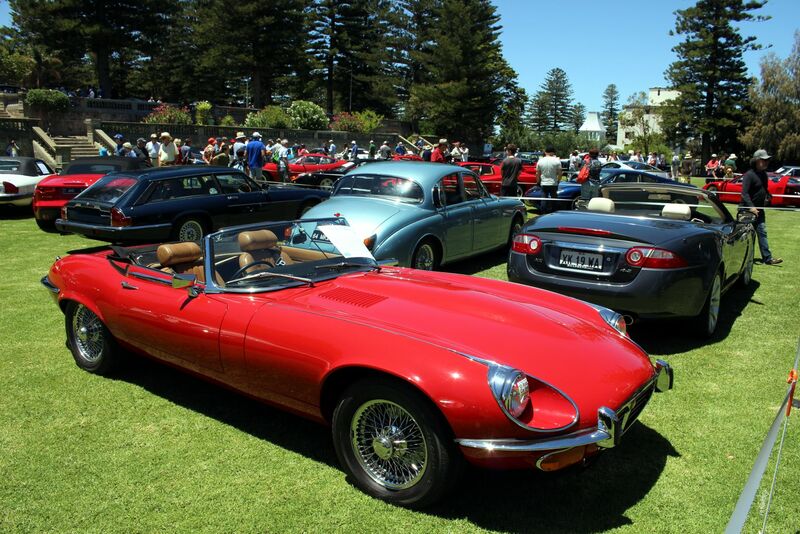 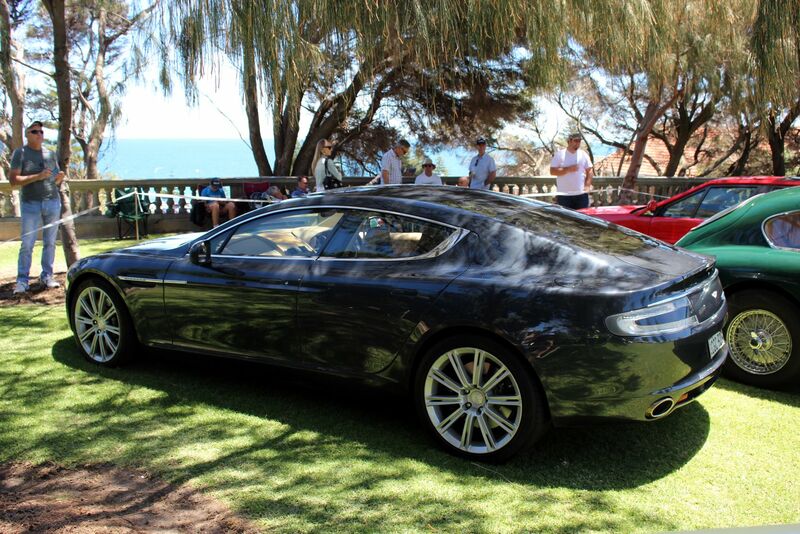 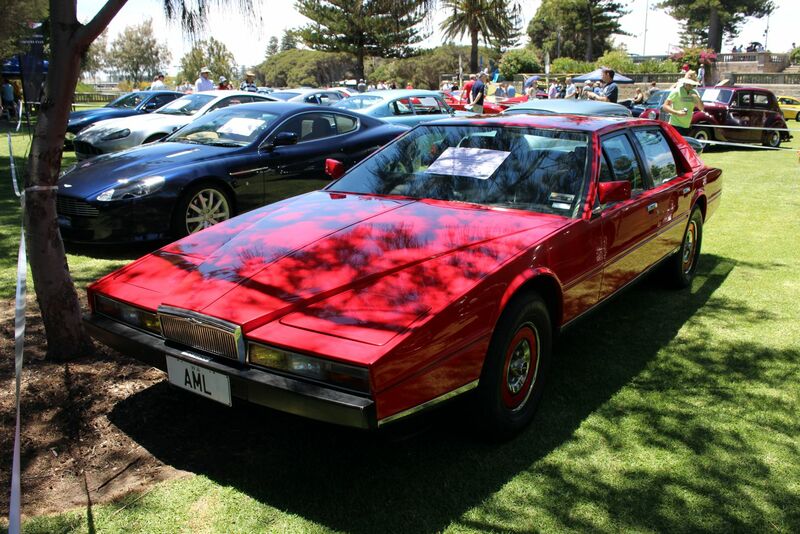 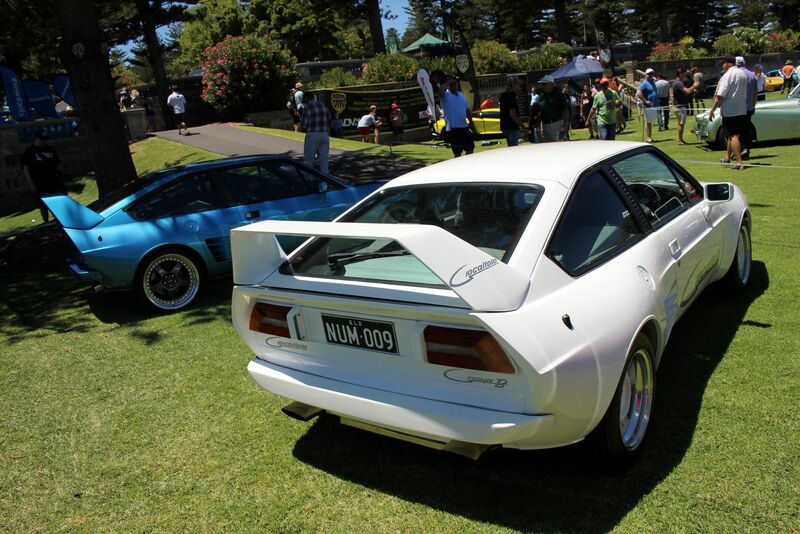 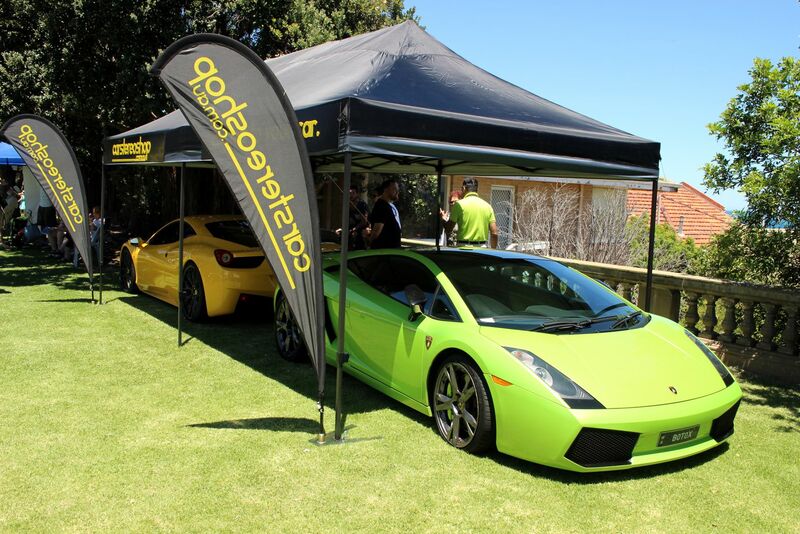 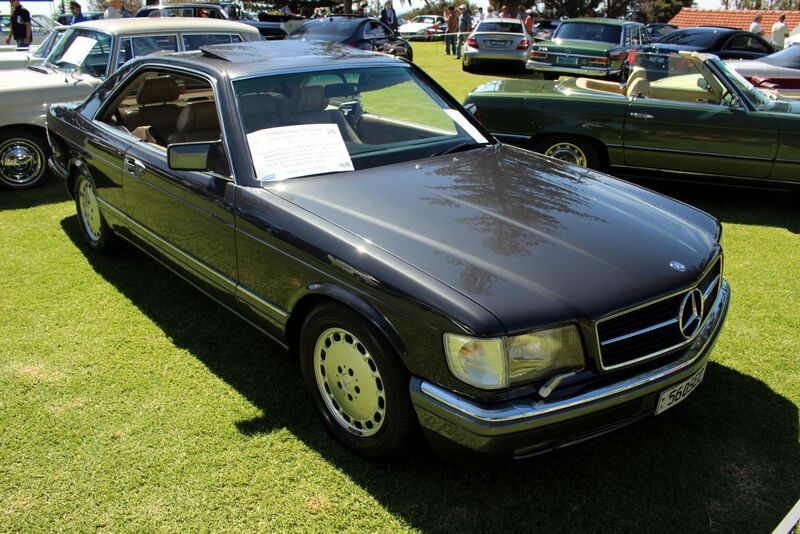 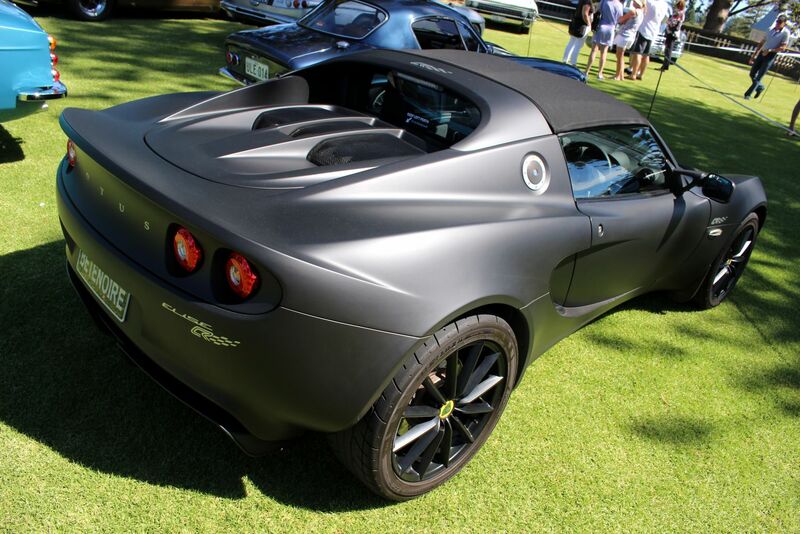 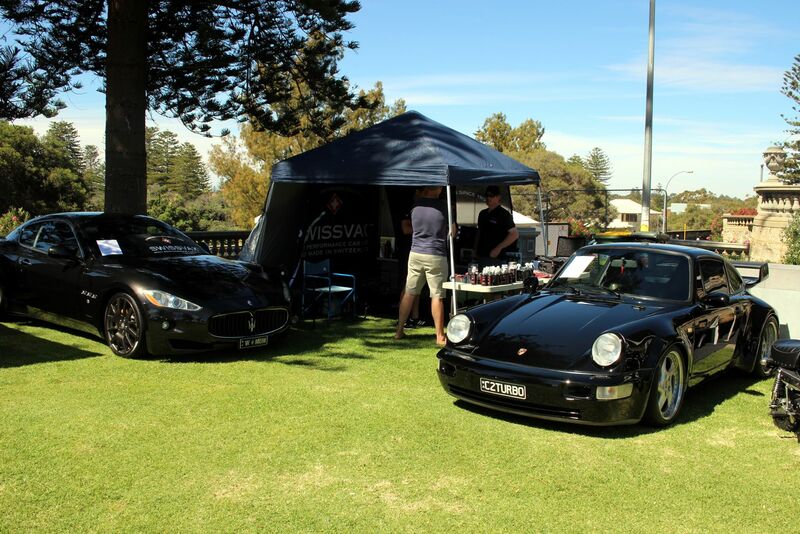 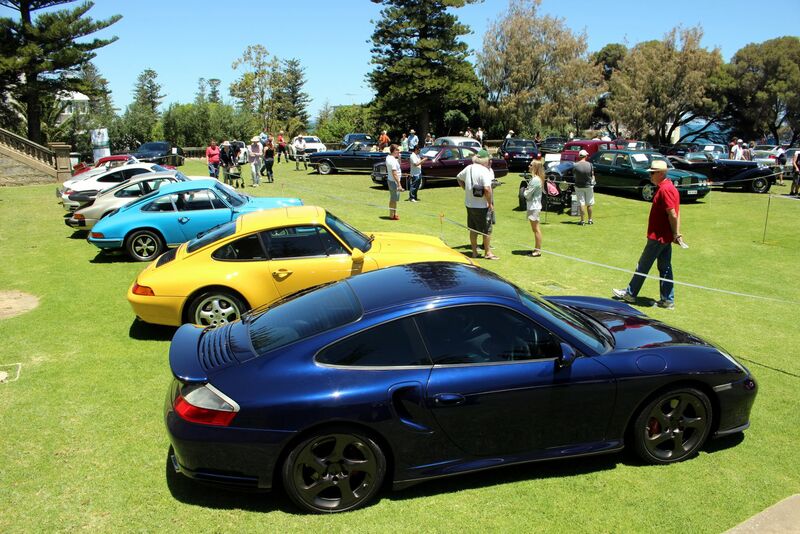 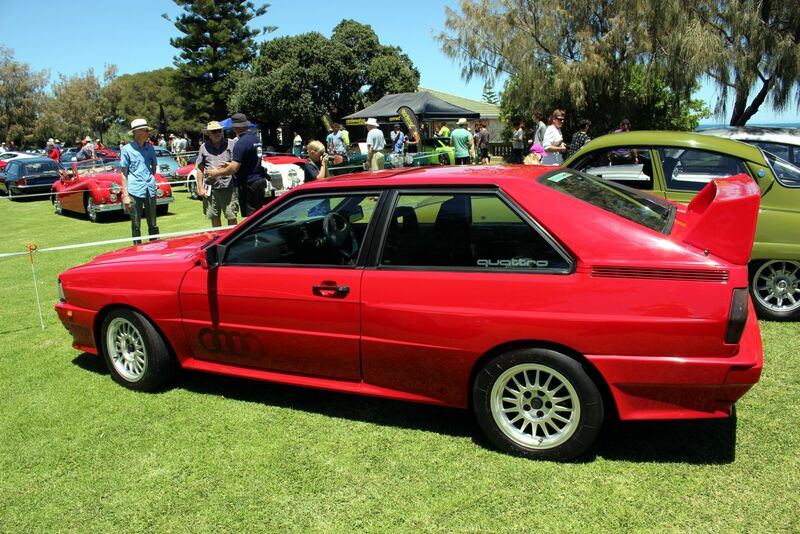 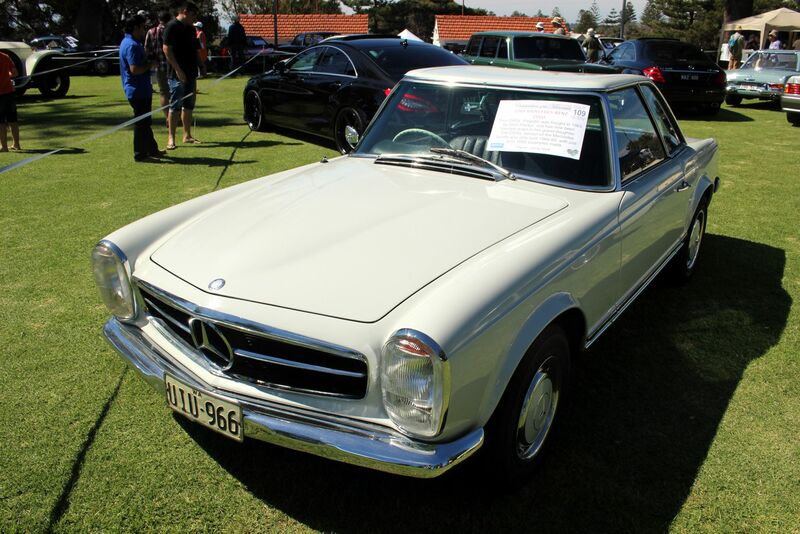 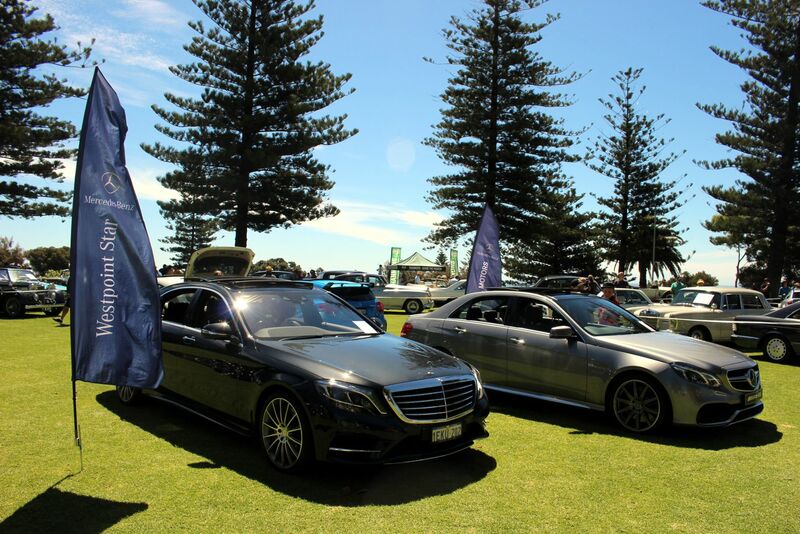 With a capacity 130 cars on show and perfect weather, the whole place had an atmosphere like no other car event in Perth. 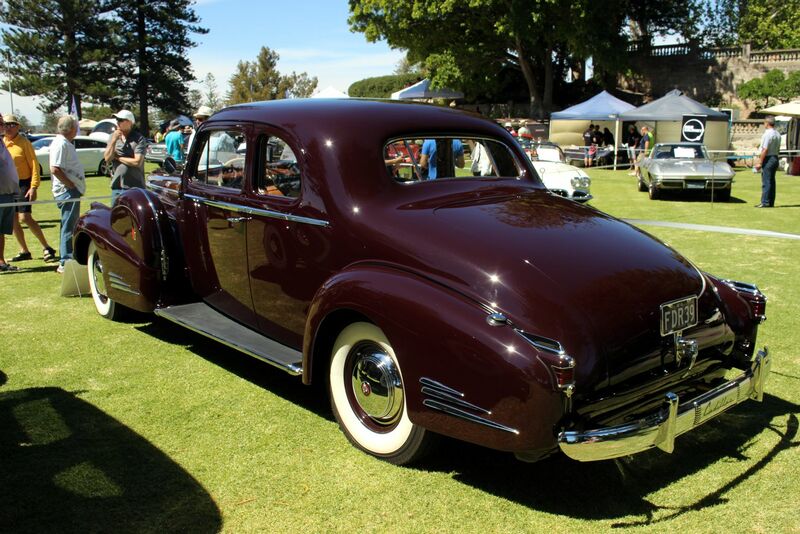 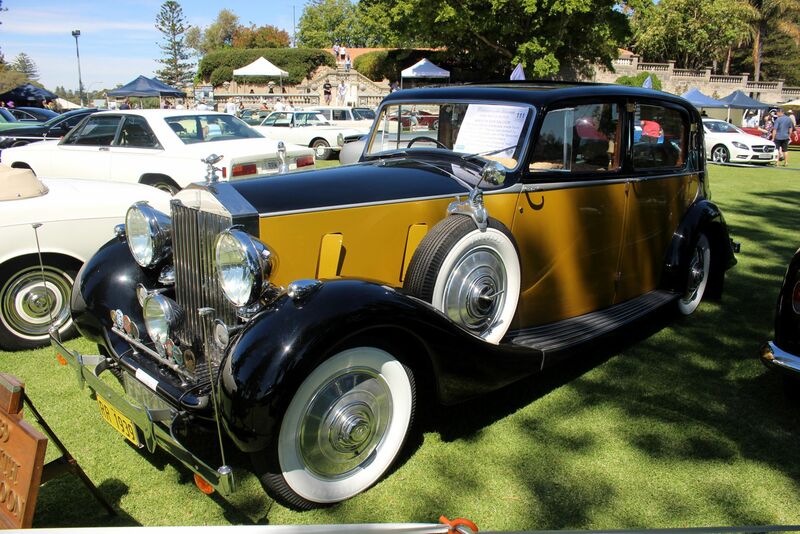 Celebration of the Motorcar brought some amazing cars out of the woodwork, many of which had never been shown before in public. 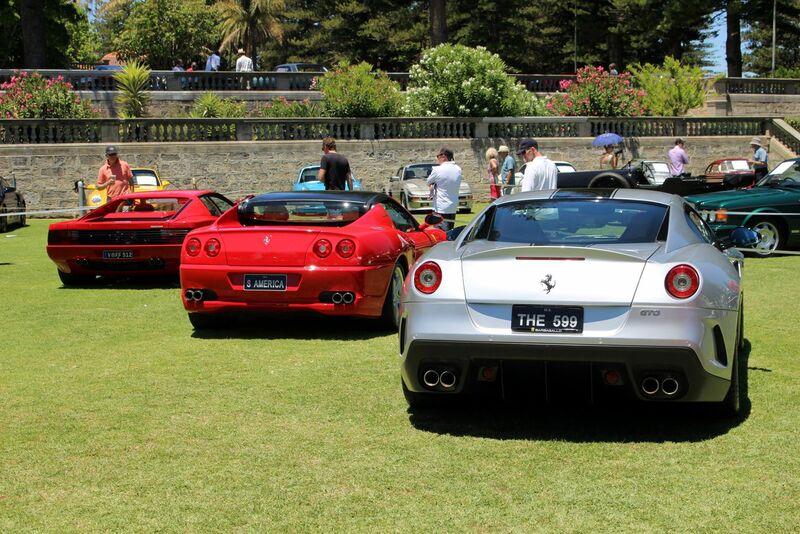 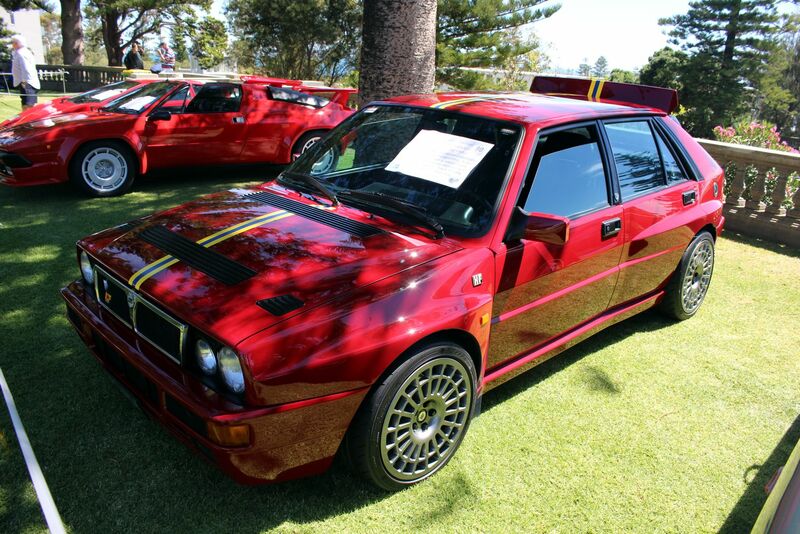 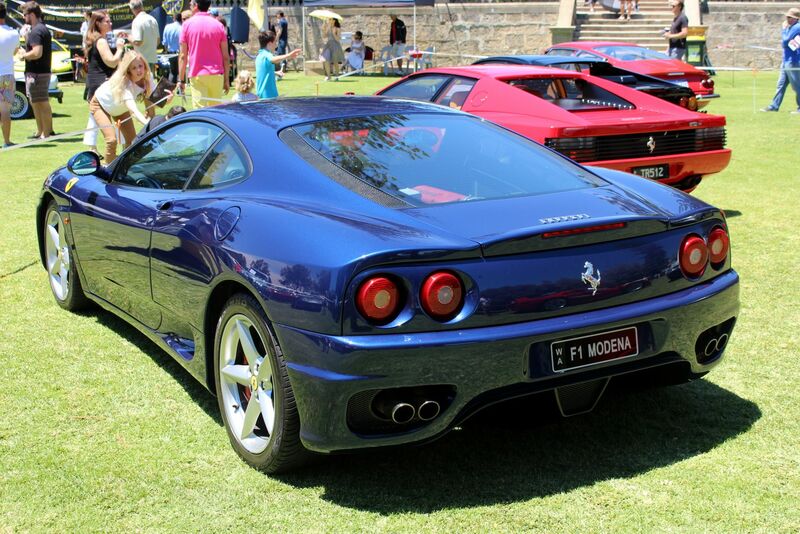 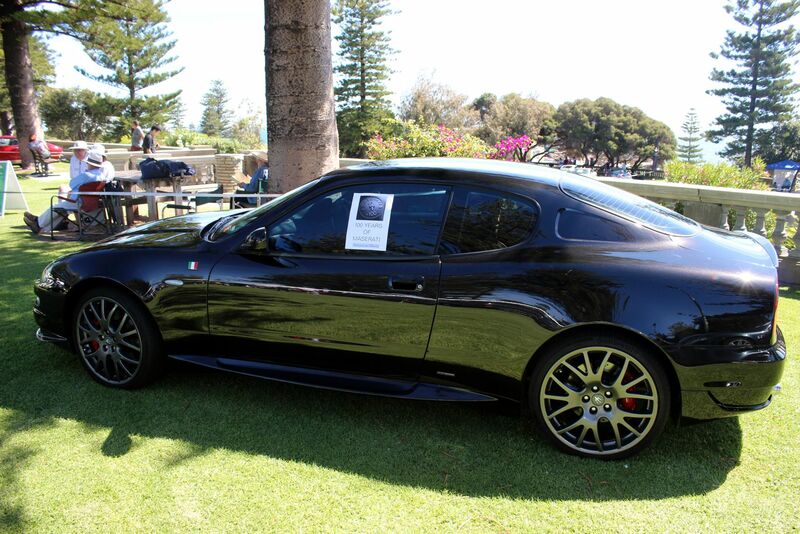 Who knew there was a Giocattolo V8 supercar in Perth – let alone two of them? 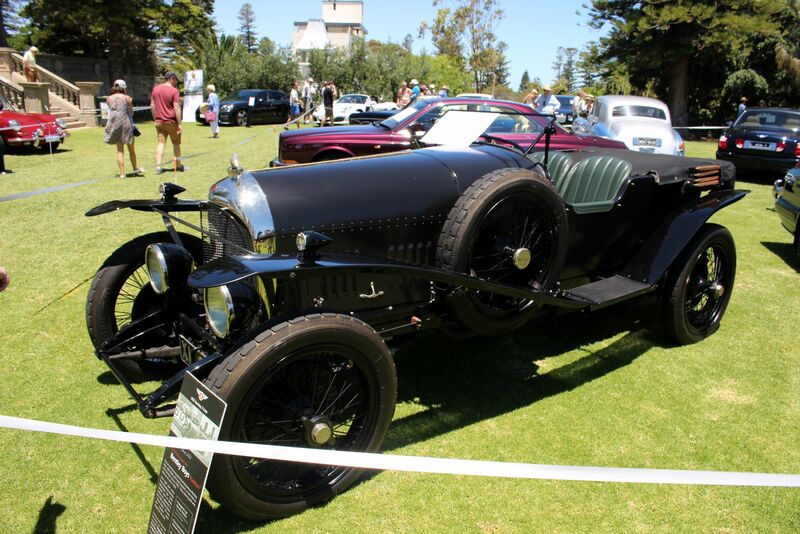 We had some very recent arrivals displayed – a Lamborghini Countach which had arrived in WA four days before the show – the Riley Sprite TT which had come fourth outright in the 1935 Le Mans race seen for the first time – a V16 Cadillac 2-Passenger Coupe (one of six built) fresh for its exhaustive restoration – the first McLaren 650S Spider delivered in Australia… the list of superstar cars was long. 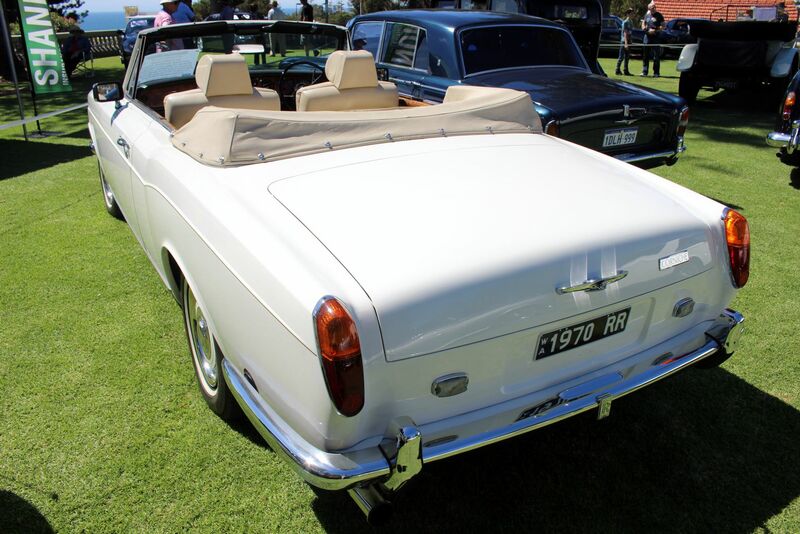 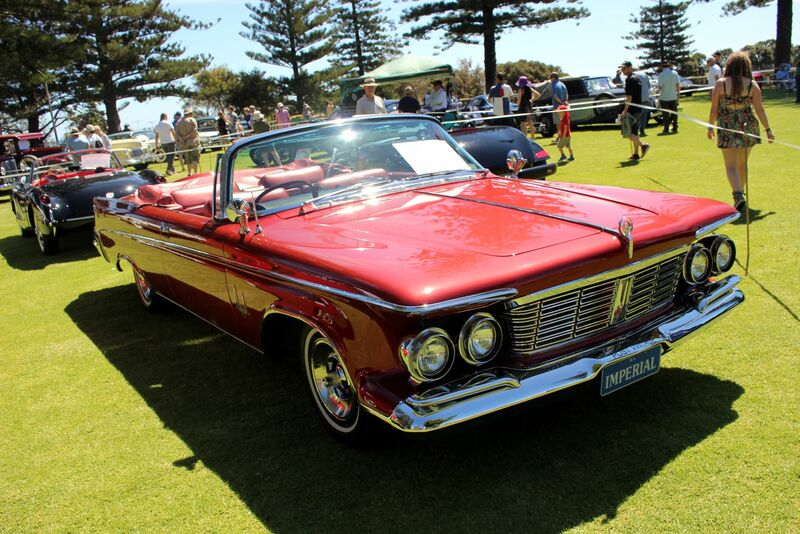 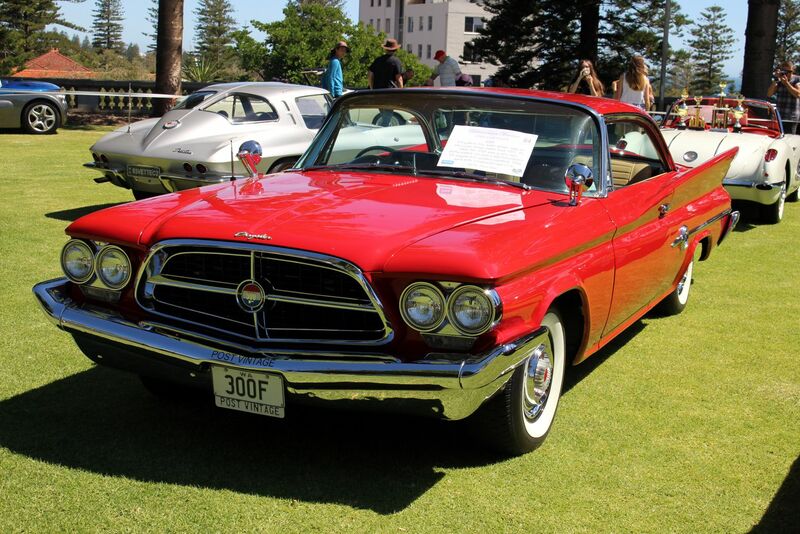 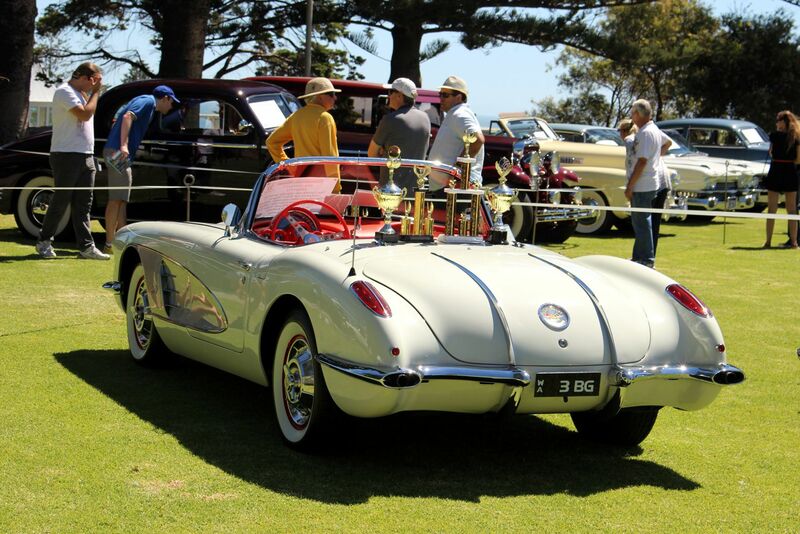 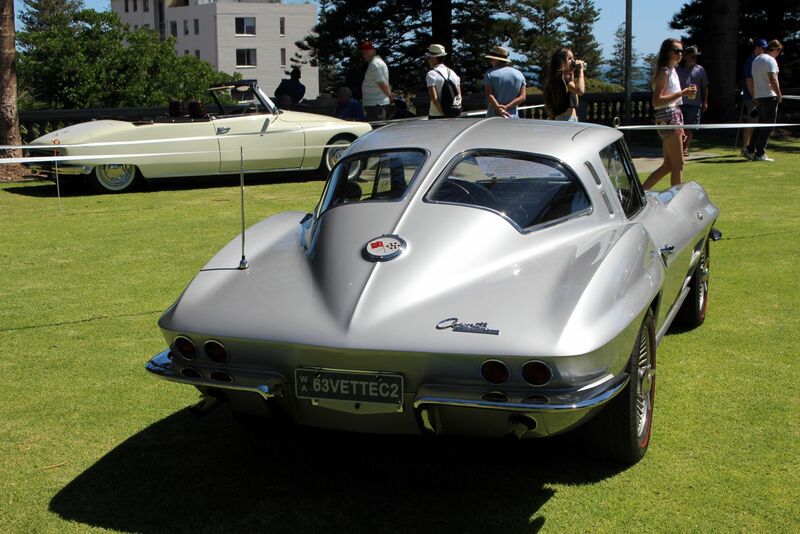 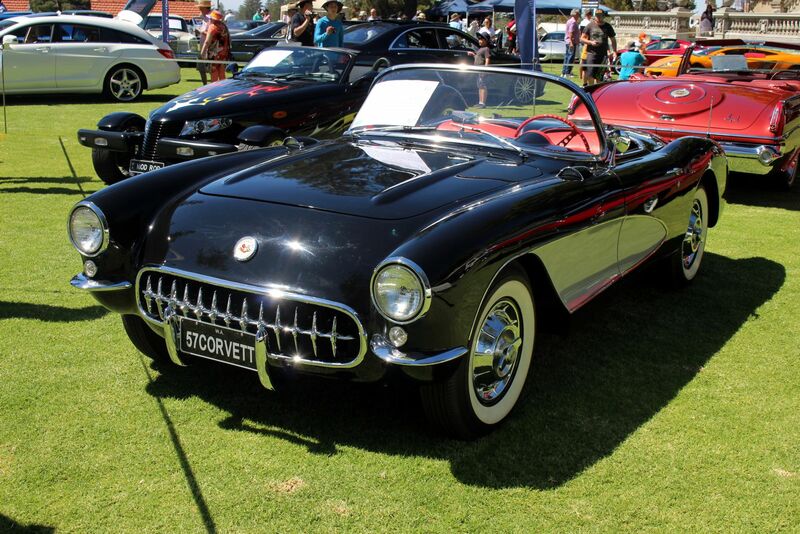 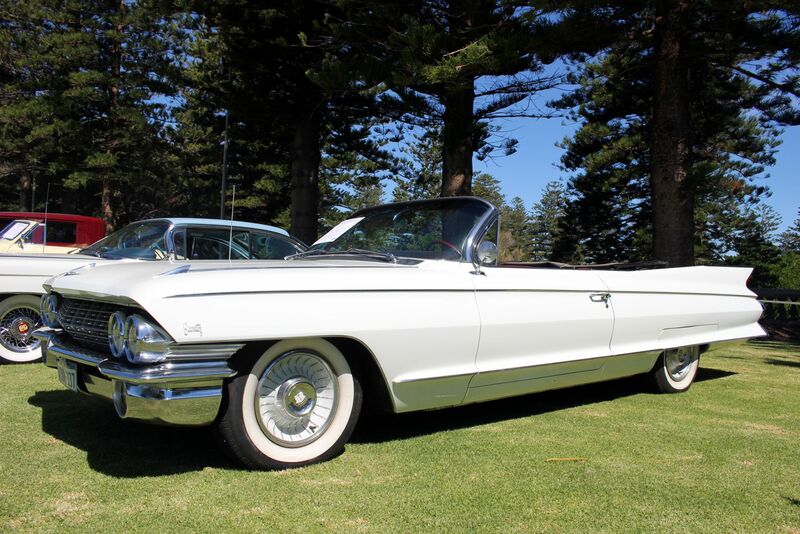 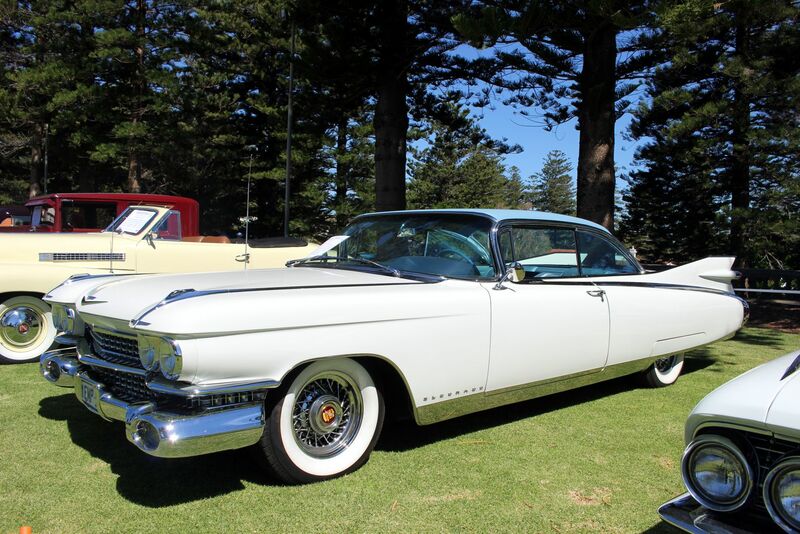 A 1958 Corvette first owned by Hollywood star Robert Wagner made its Australian debut at the show, and not far away was a glamorous 1963 Imperial Crown Convertible originally owned by the Emir of Kuwait. 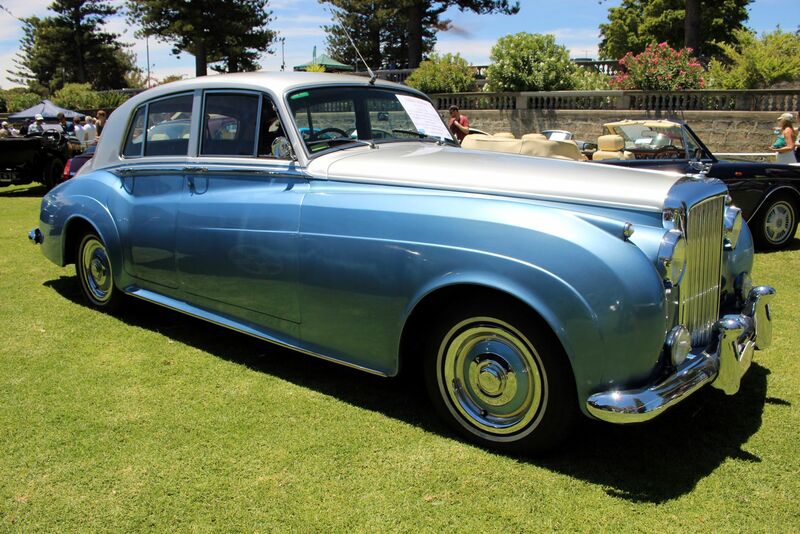 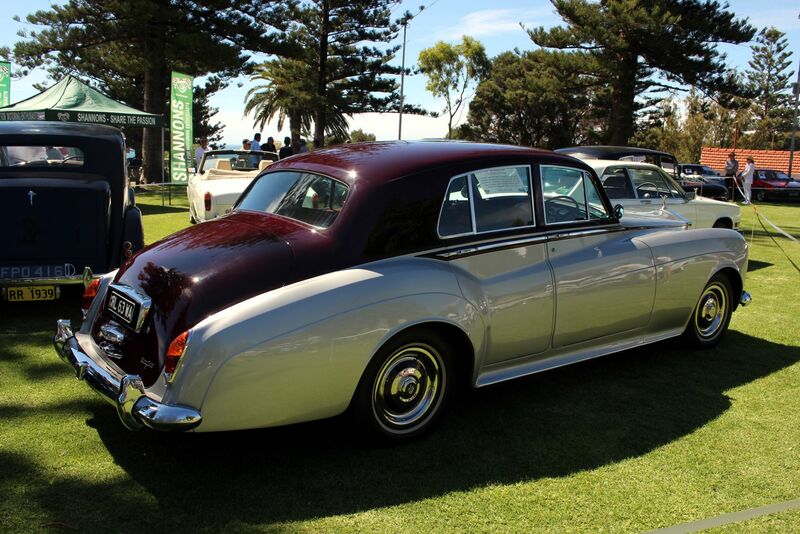 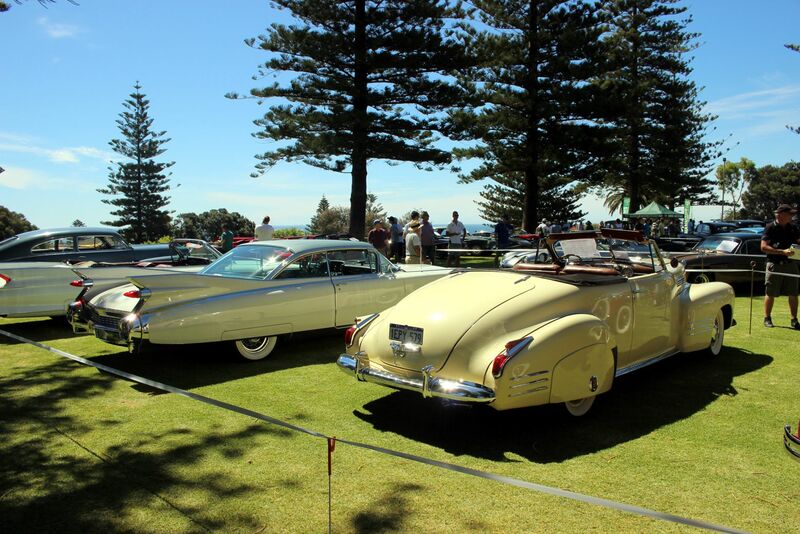 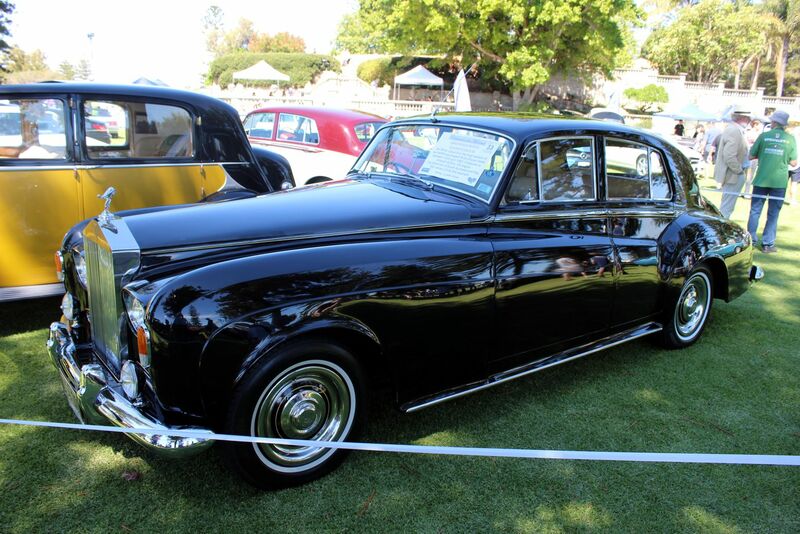 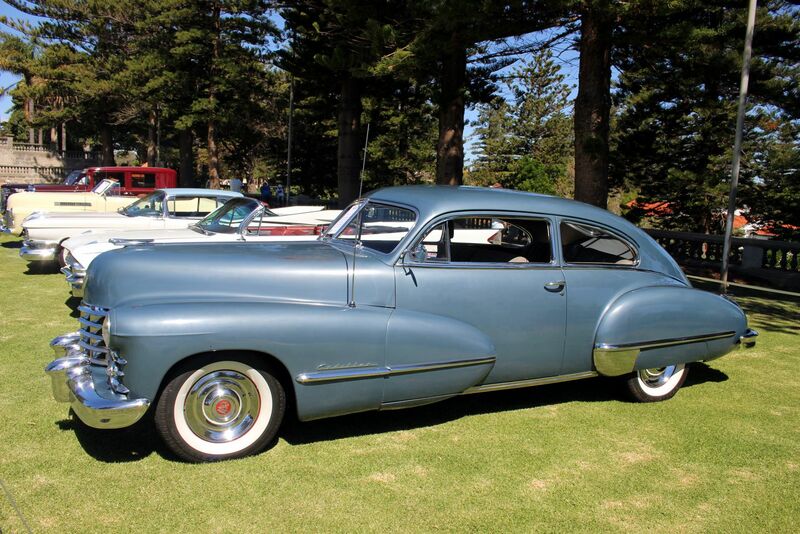 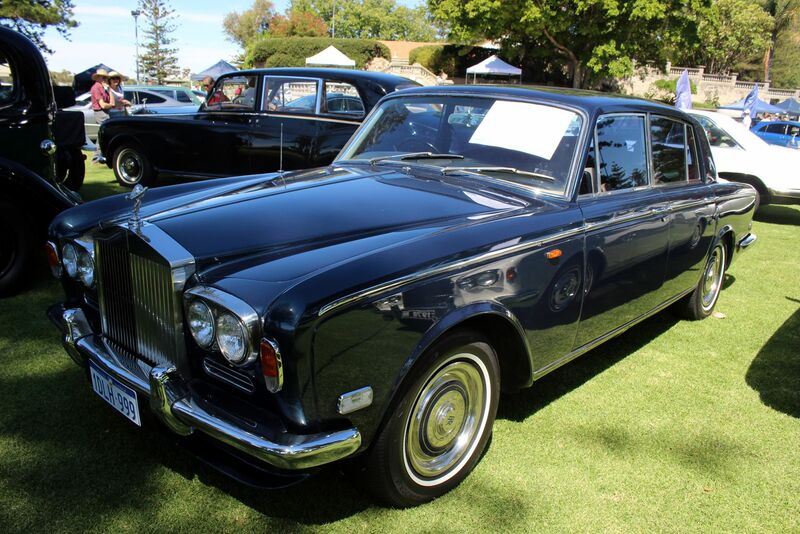 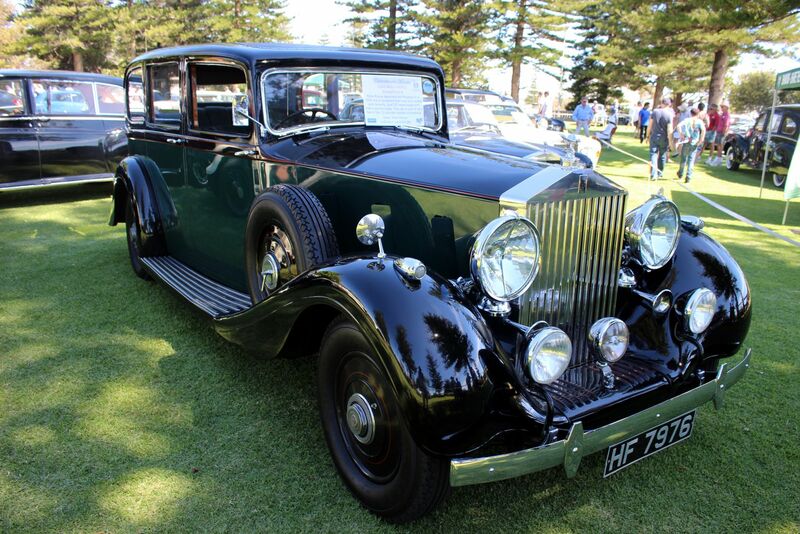 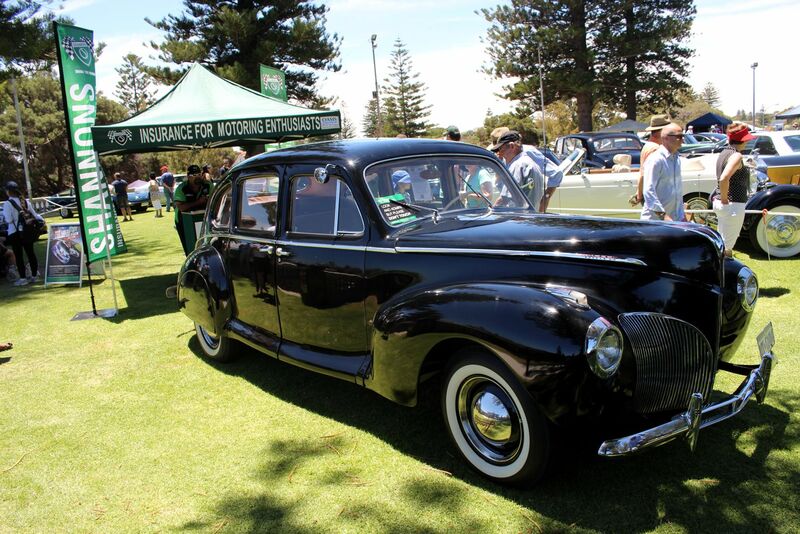 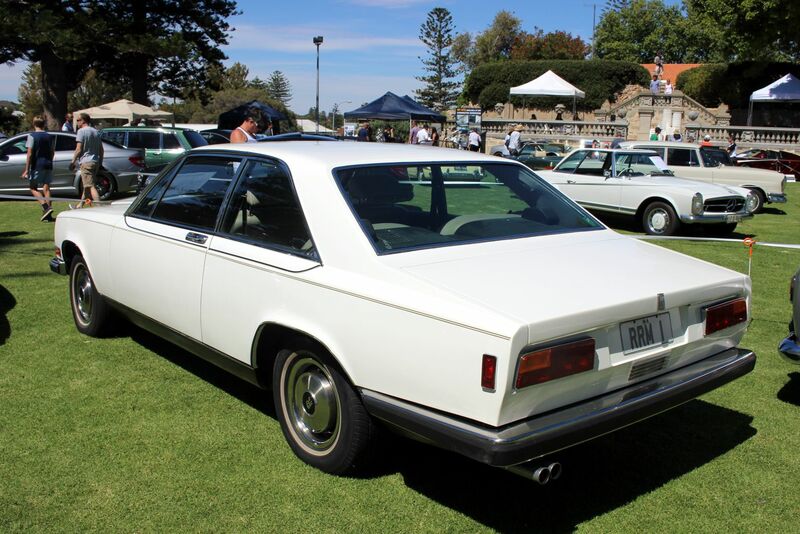 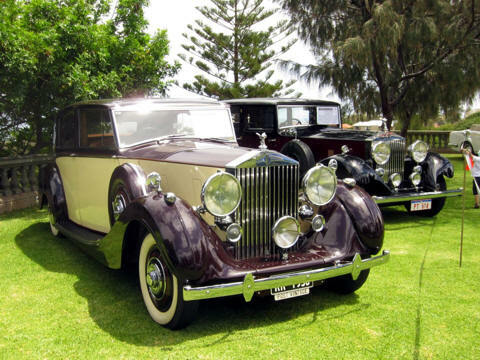 A Rolls-Royce Silver Cloud lll which was delivered new to the Governor of South Australia also featured. 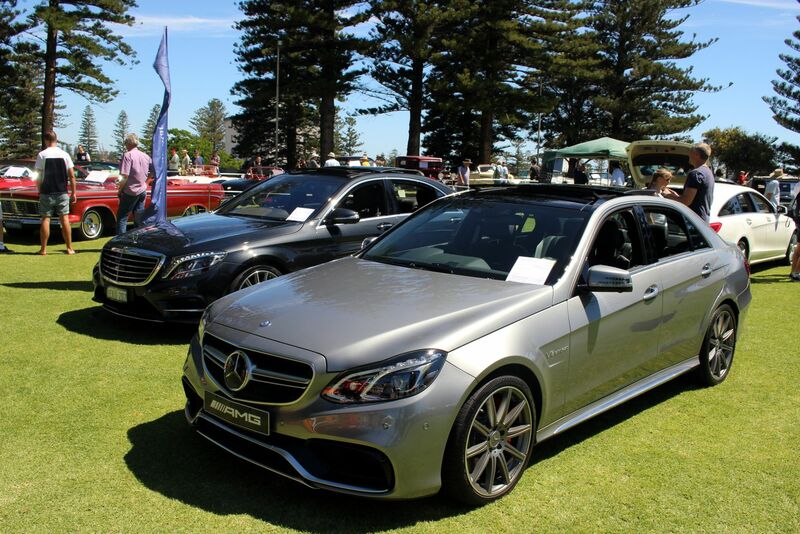 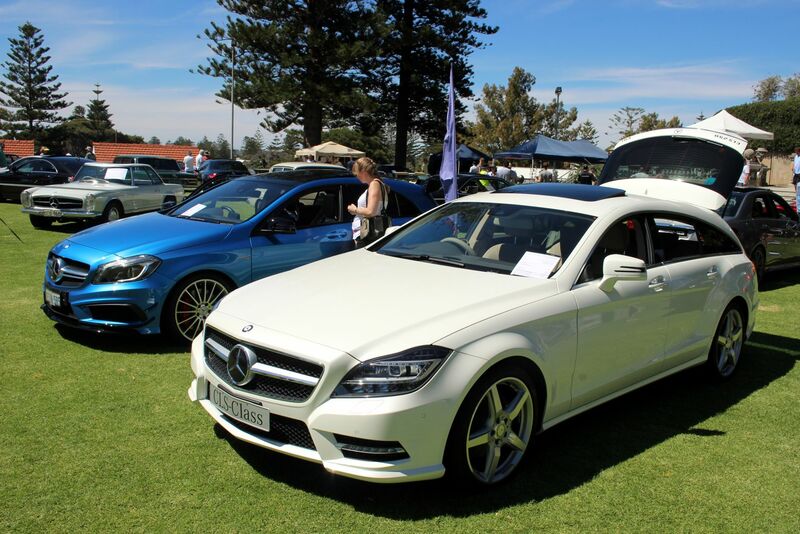 Interesting cars were also displayed by some of Perth’s leading car dealerships, including the first showing of the new AMG Mercedes C-Class and a Lamborghini Aventador 720 in striking metallic yellow. 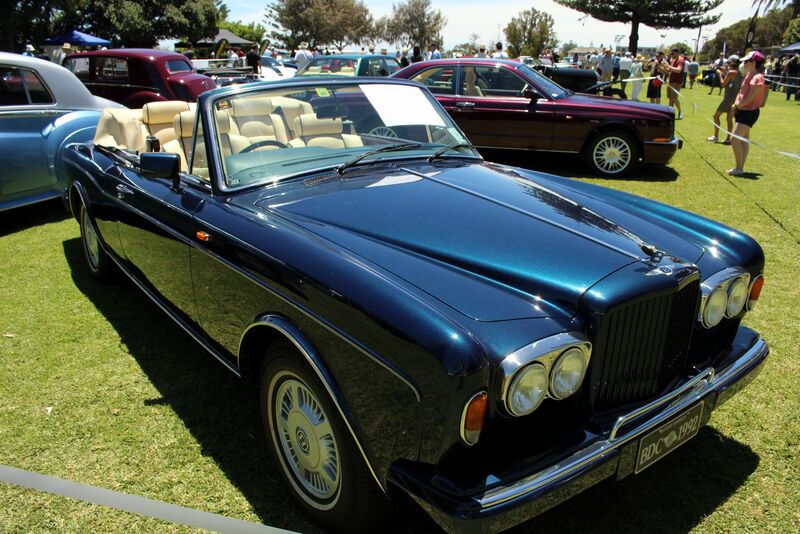 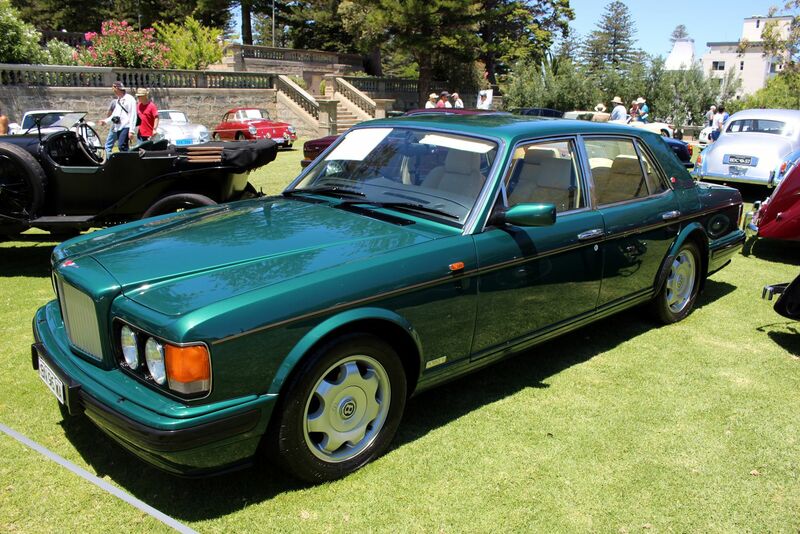 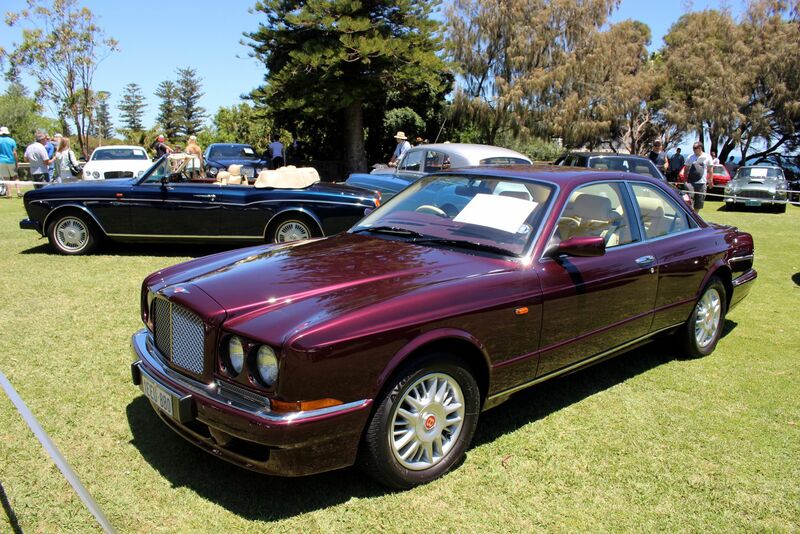 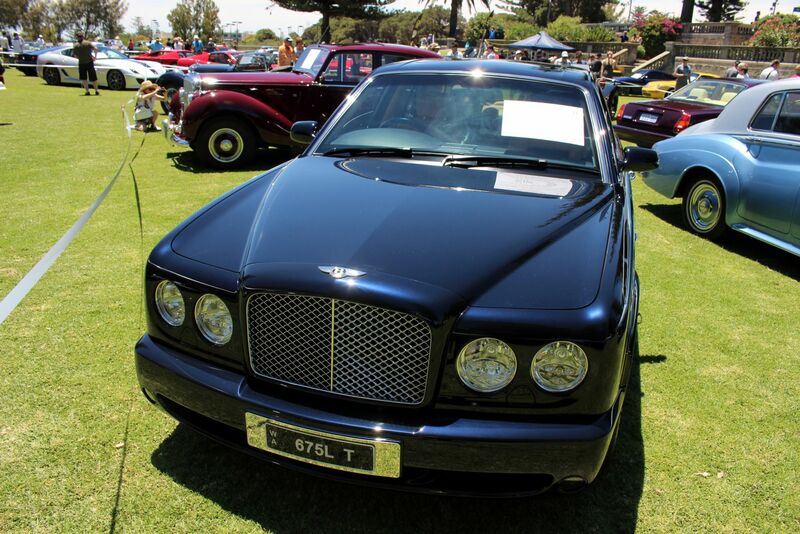 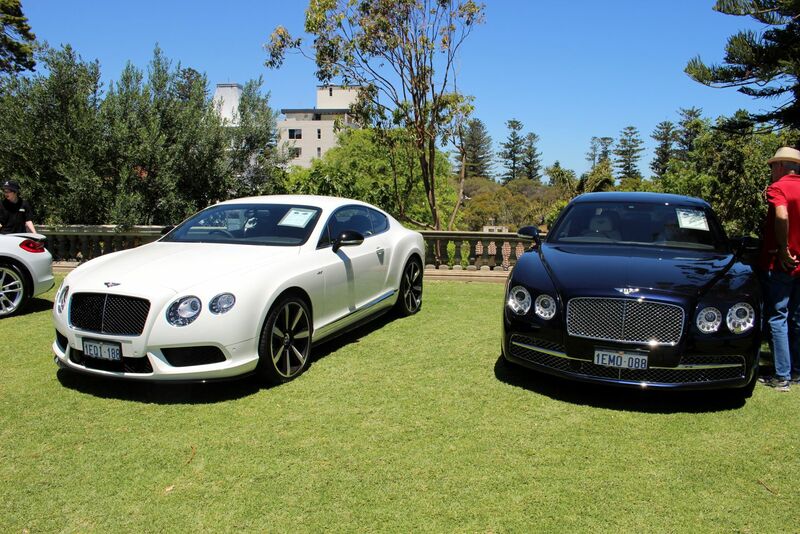 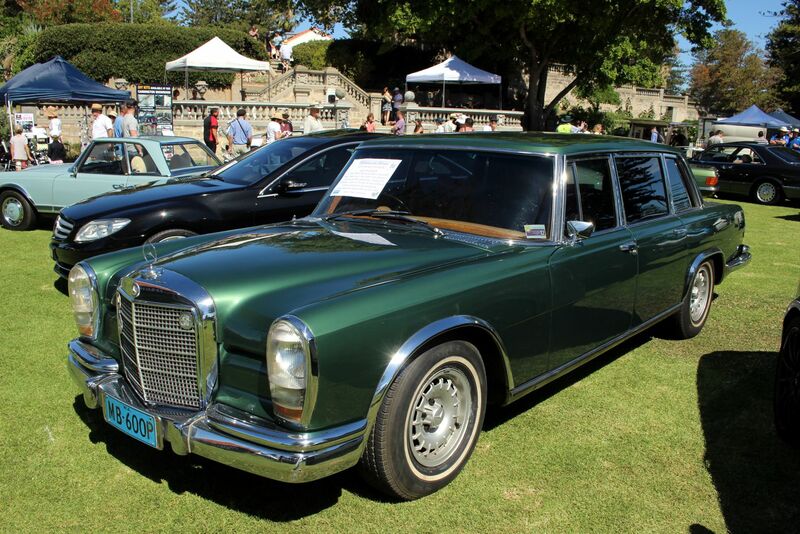 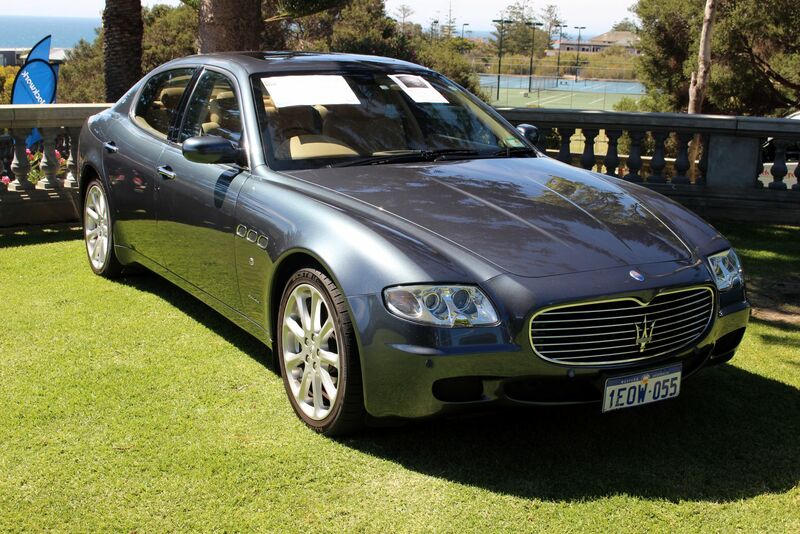 New Bentleys and Porsches made interesting comparisons to the classic examples of the marques displayed opposite. 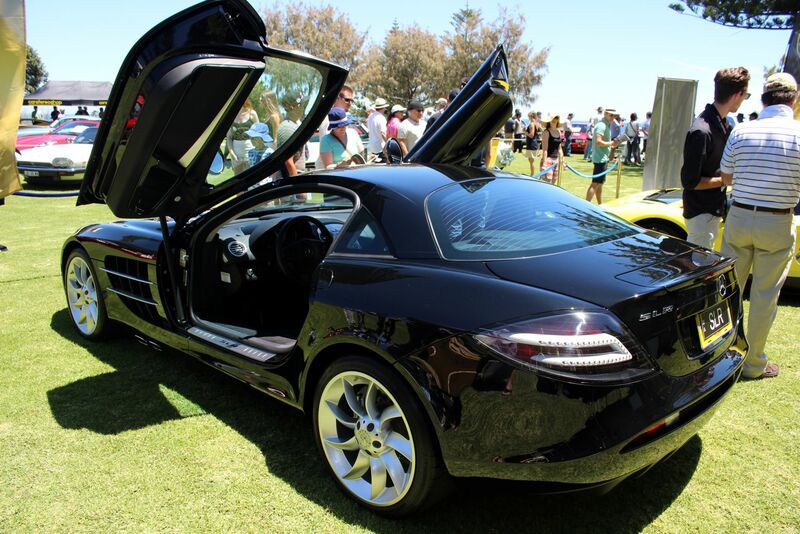 A dealer’s black Mercedes-McLaren SLR, the first one in the state and recently arrived also got a great deal of attention. 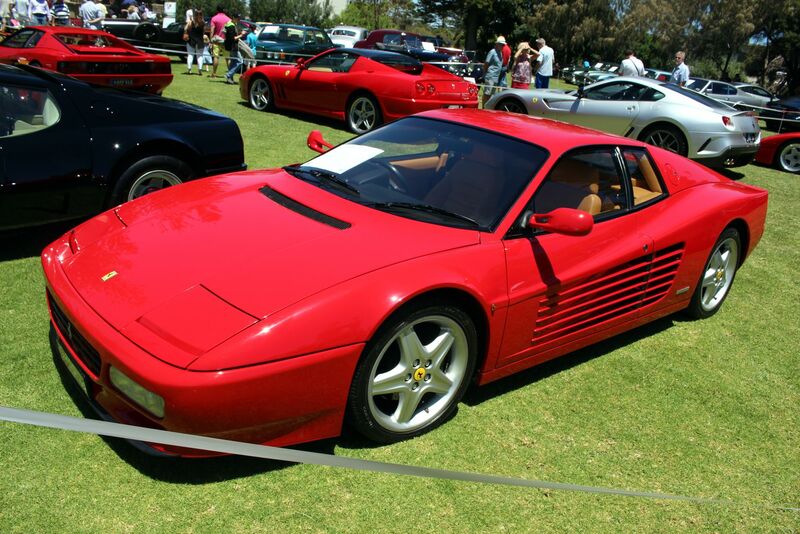 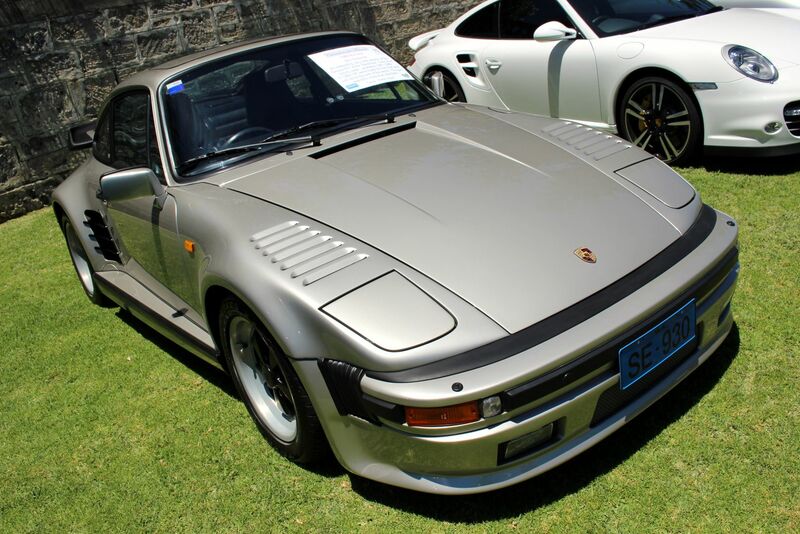 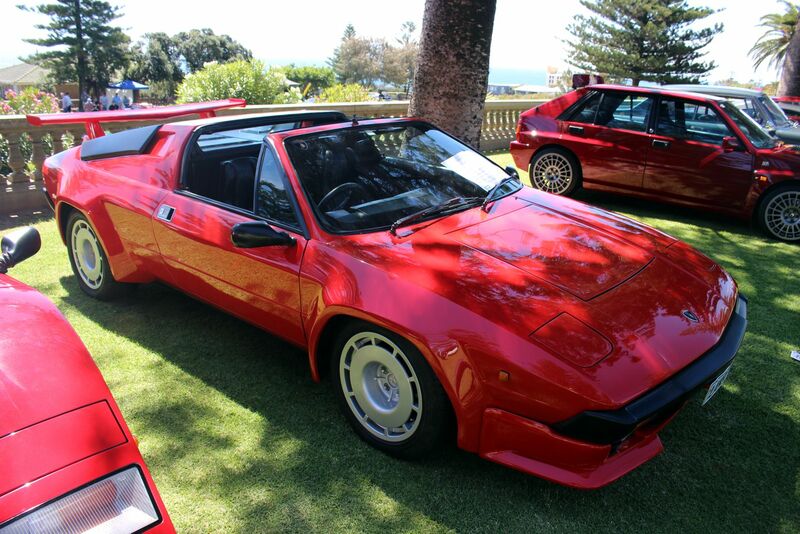 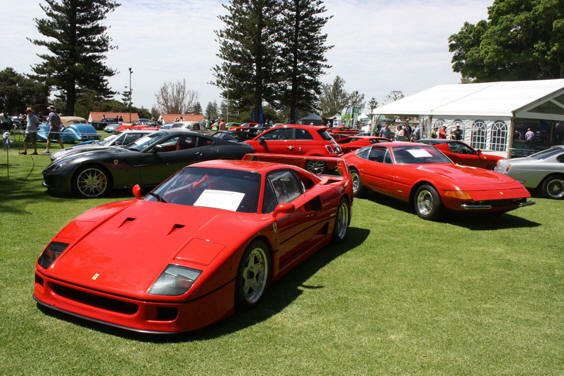 Even the trade displays had very attractive cars on their stands – like a RUF Porsche 930 Turbo, a Lamborghini Gallardo and a Ferrari 458 Italia and a striking Lincoln Zephyr V12. 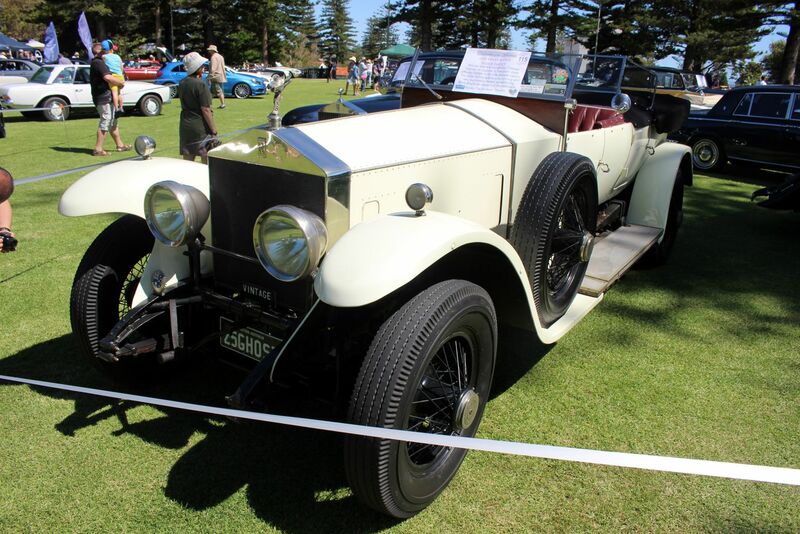 Among the older cars of interest were a splendid 1924 Rolls-Royce Silver Ghost tourer and the 1922 Bentley which was the very first of the marque to compete at the Le Mans 24-Hour race, in the inaugural year of the event – where it set the lap record. 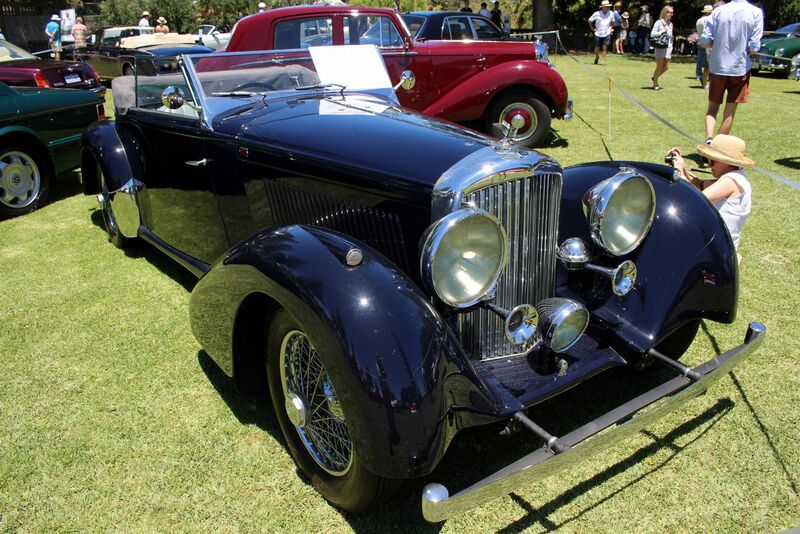 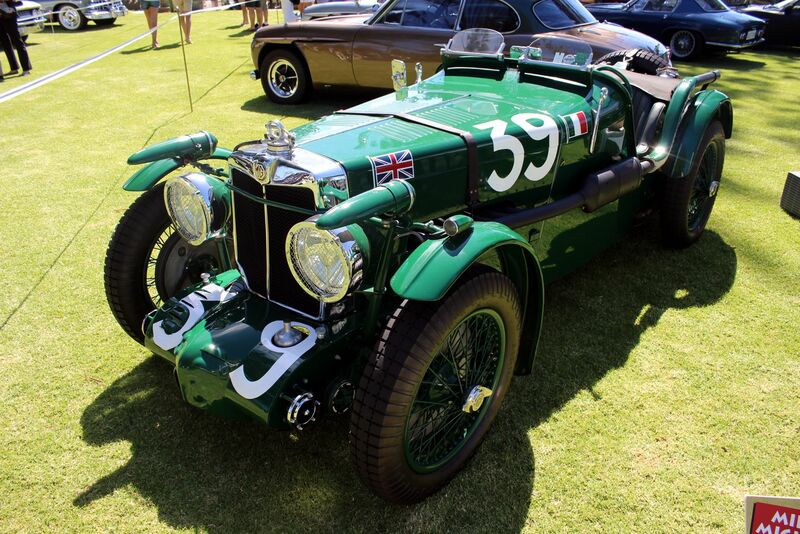 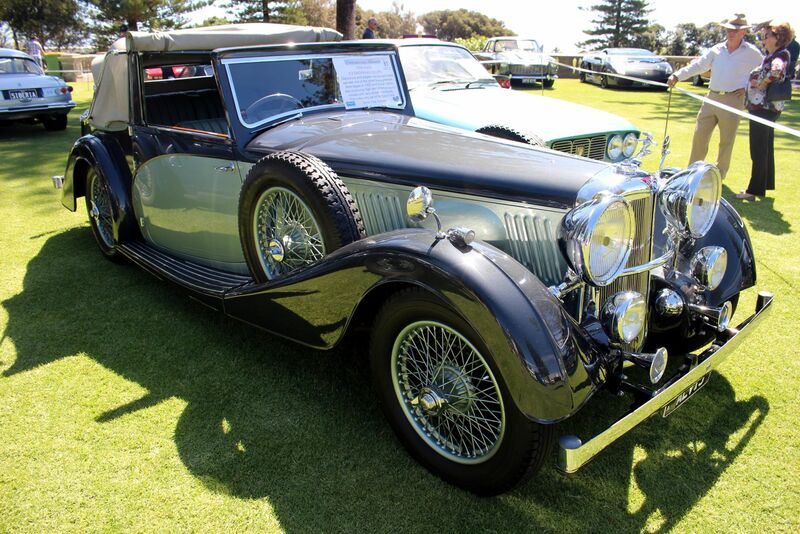 A factory competition 1933 MG K3 which competed when new in many well-known events around the world with famous drivers drew admiring looks. 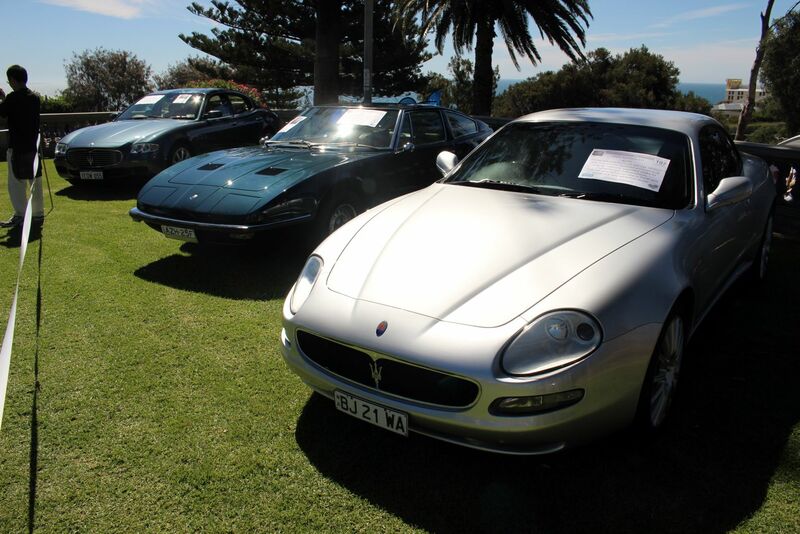 A special feature display celebrated 100 years of Maserati, with some very glamorous examples of the famous Italian marque displayed. 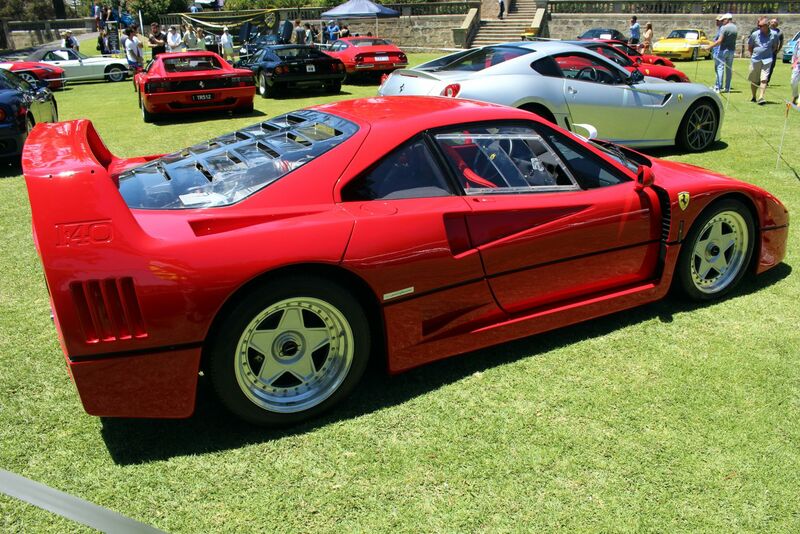 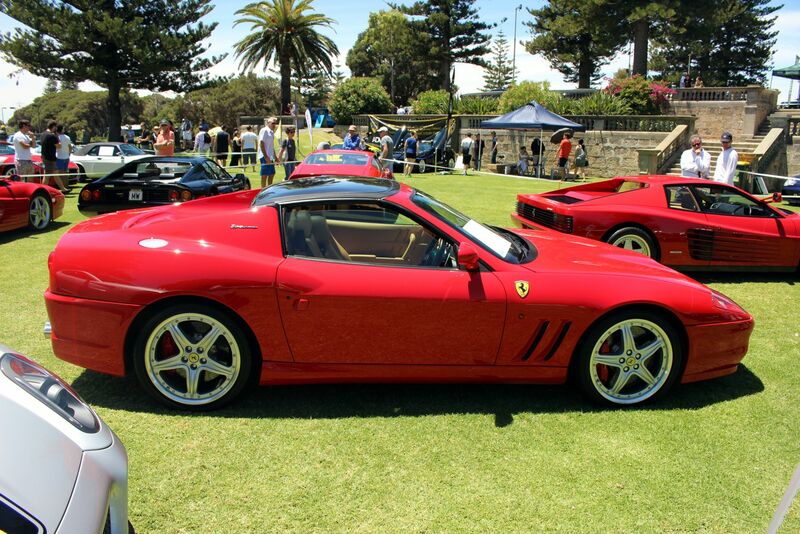 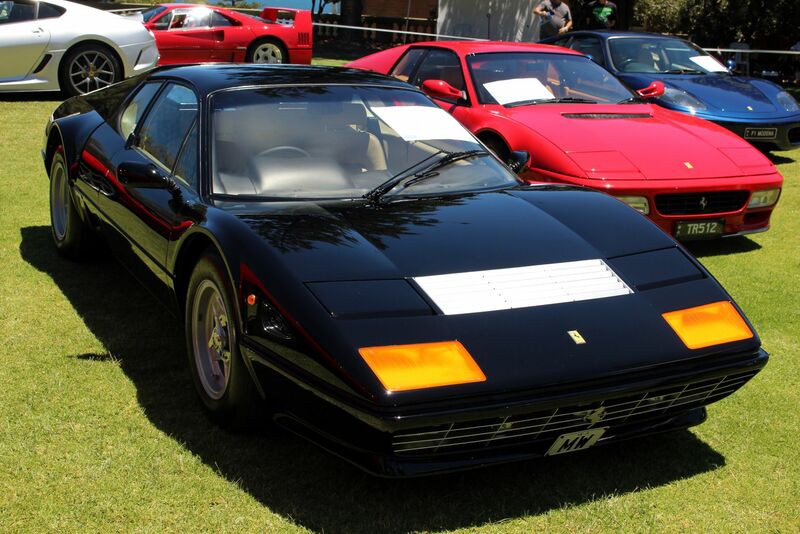 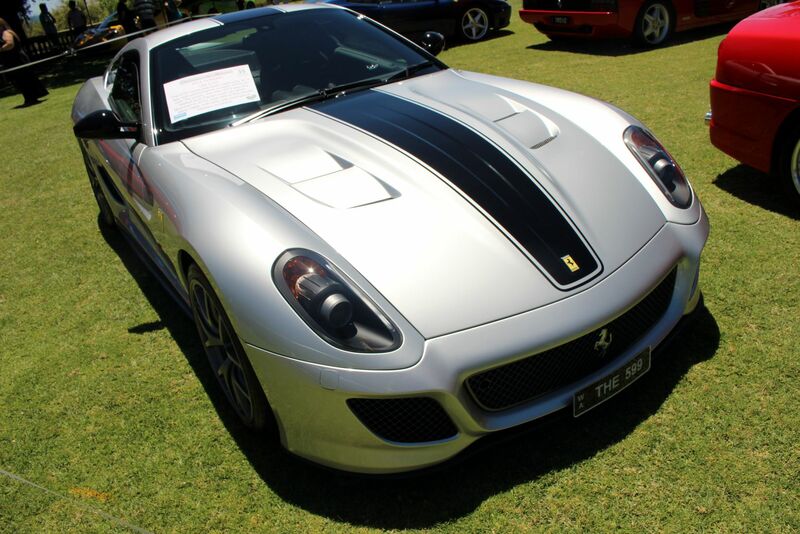 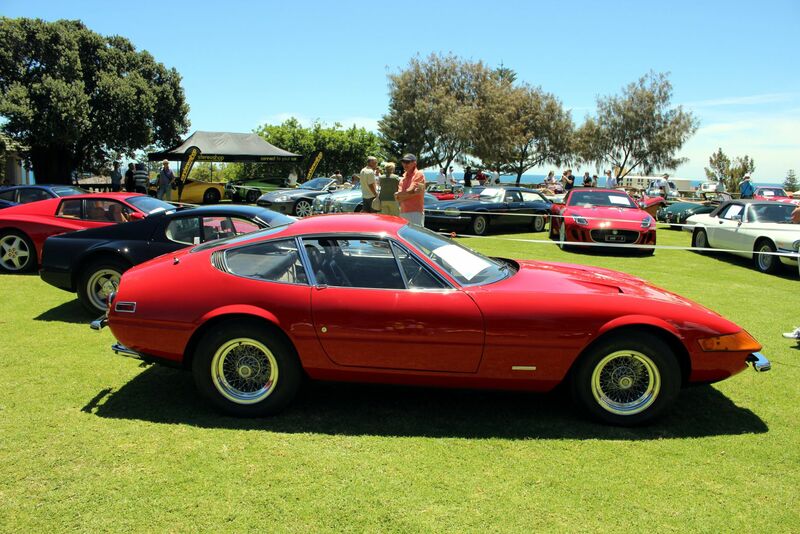 Some spectacular Ferraris drew a lot of attention, including a Daytona Coupe, the only examples of a 599 GTO and 575 Superamerica in the state and many people’s favourite supercar, a dramatic F40. 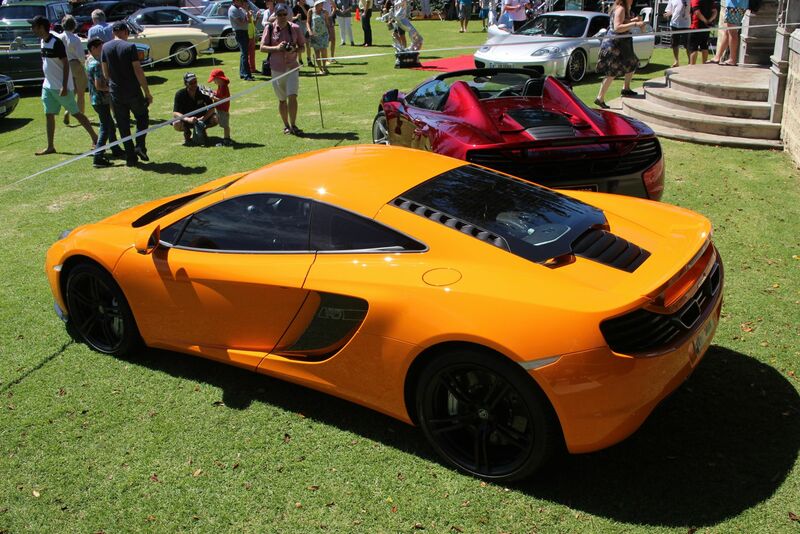 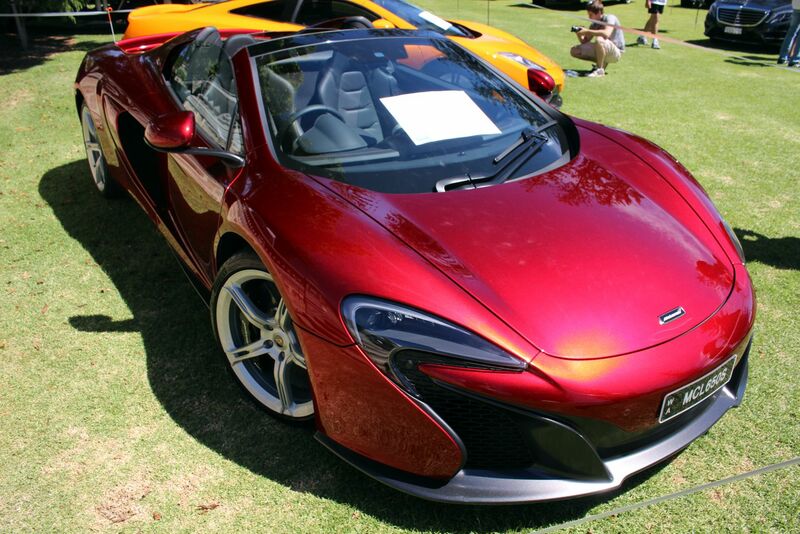 The only McLaren MP12C 50th Anniversary in the southern hemisphere was seen by the public for the first time at Celebration of the Motorcar. 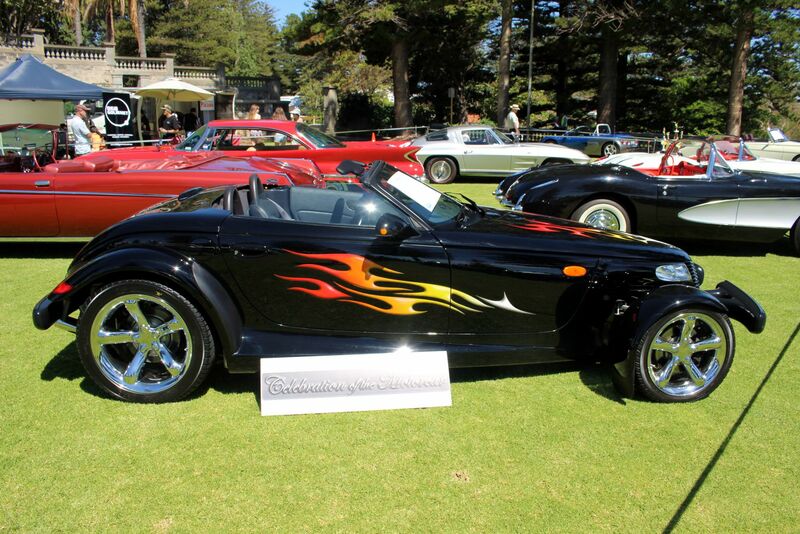 A dramatic black Plymouth Prowler, with its huge chrome wheels drew an enormous amount of attention, especially among the younger visitors to the show. 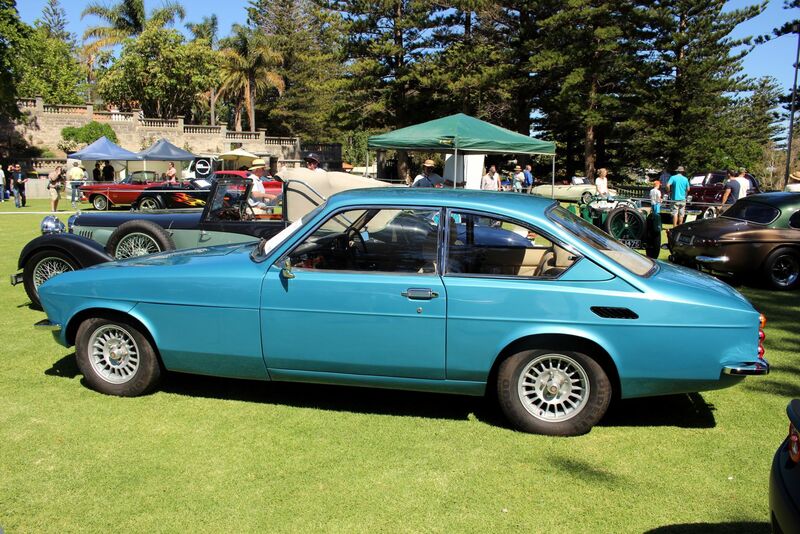 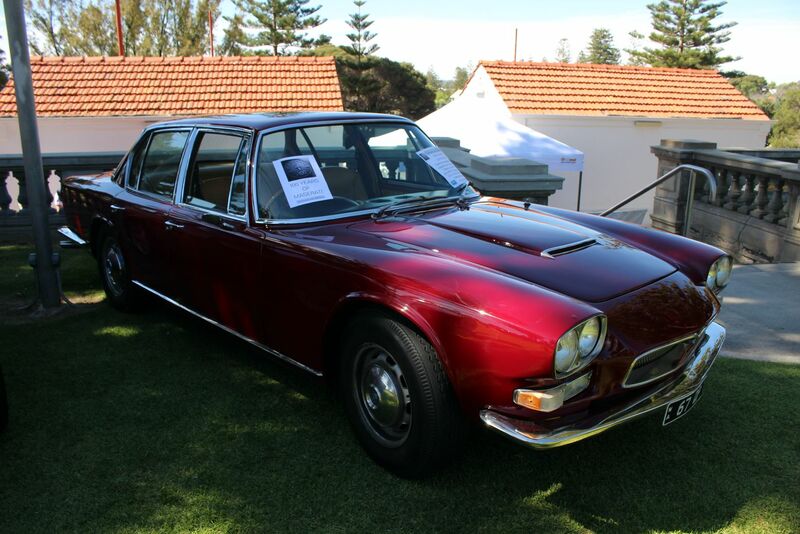 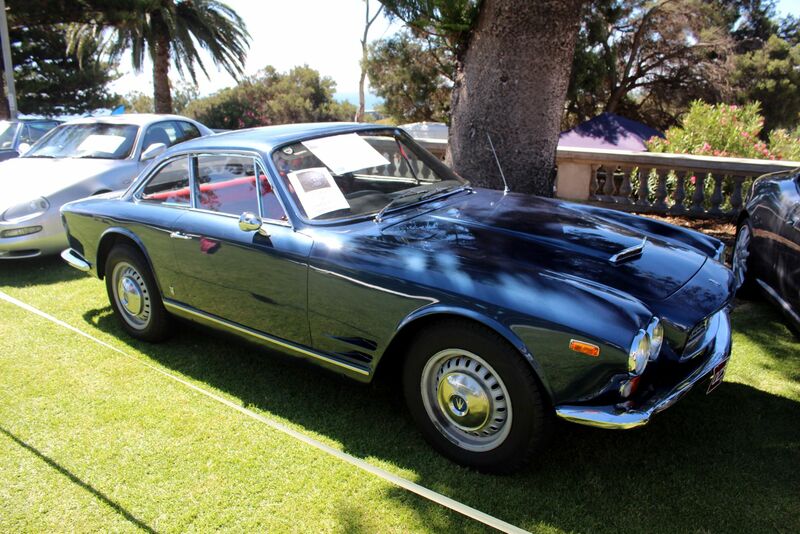 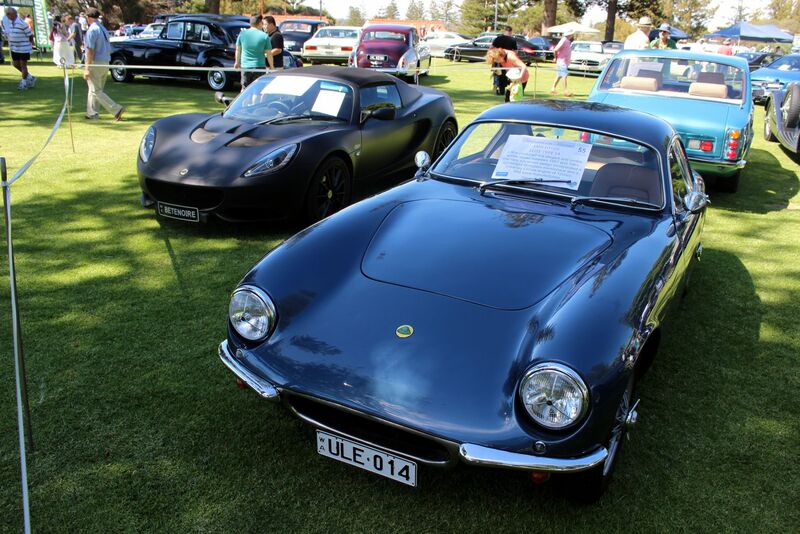 A pair of rare Jensen CV8 Coupes from the 1960s surprised many visitors who didn’t know of any in the state and an unusual Bristol 603 which had recently arrived from England proved fascinating for many. 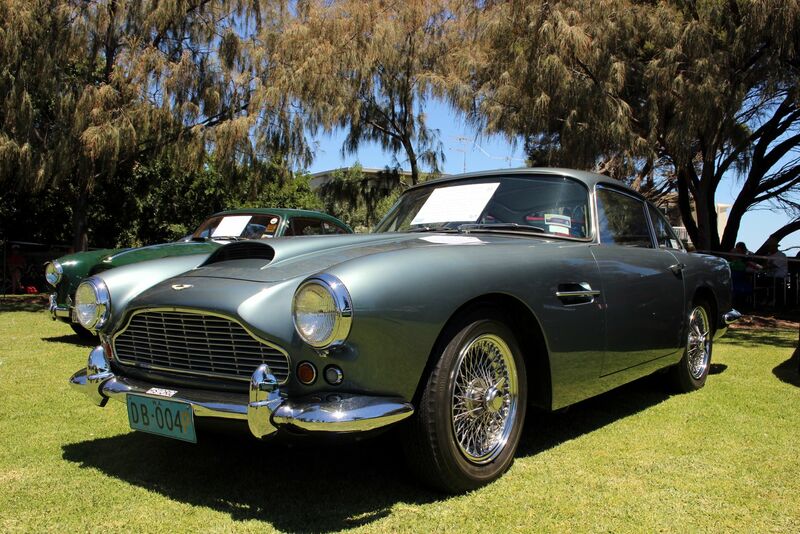 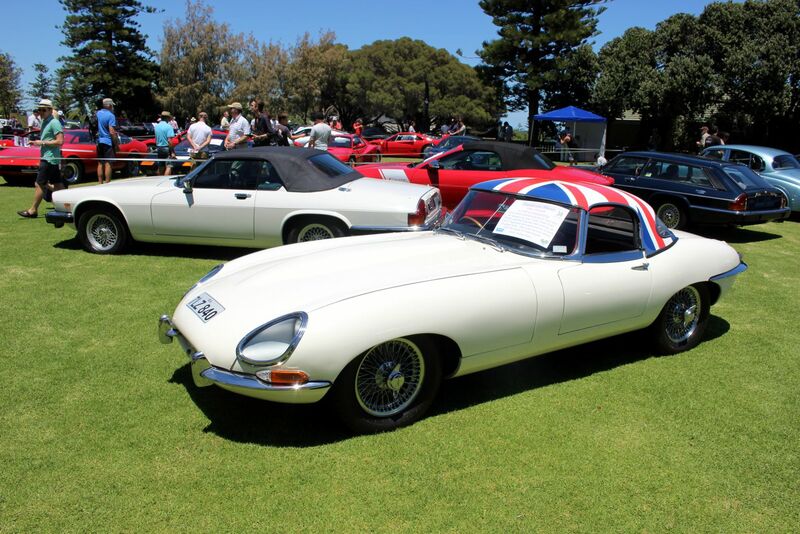 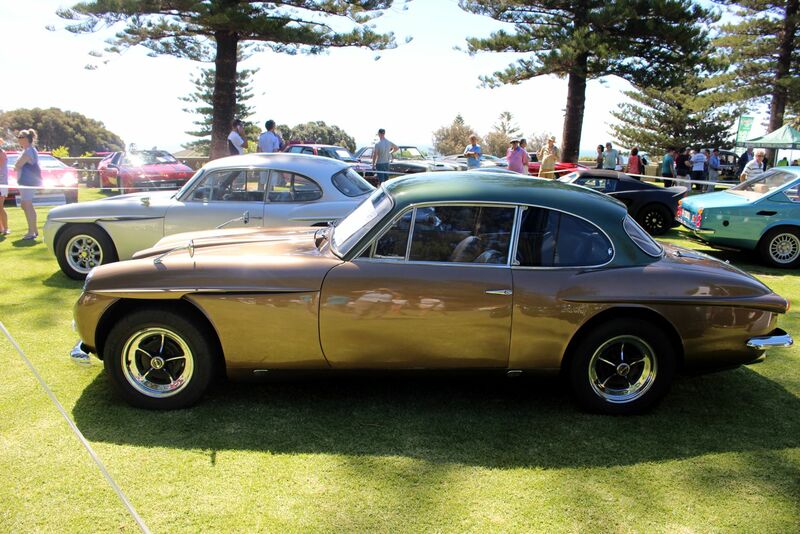 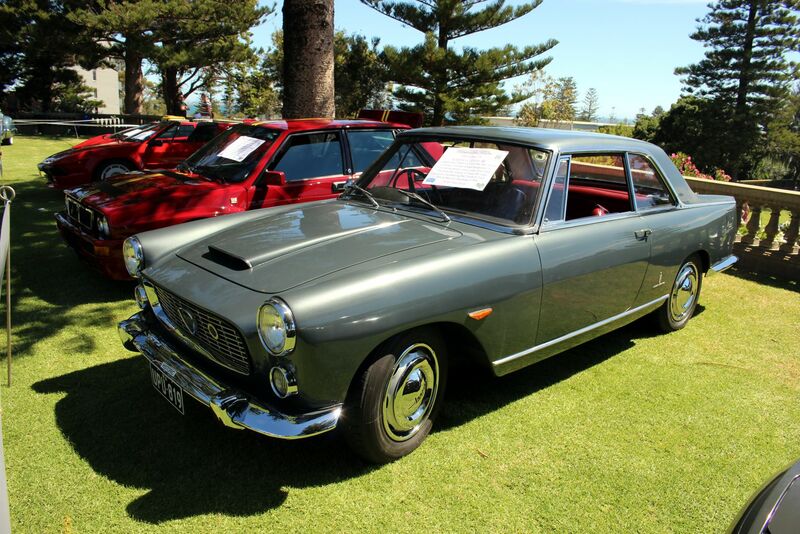 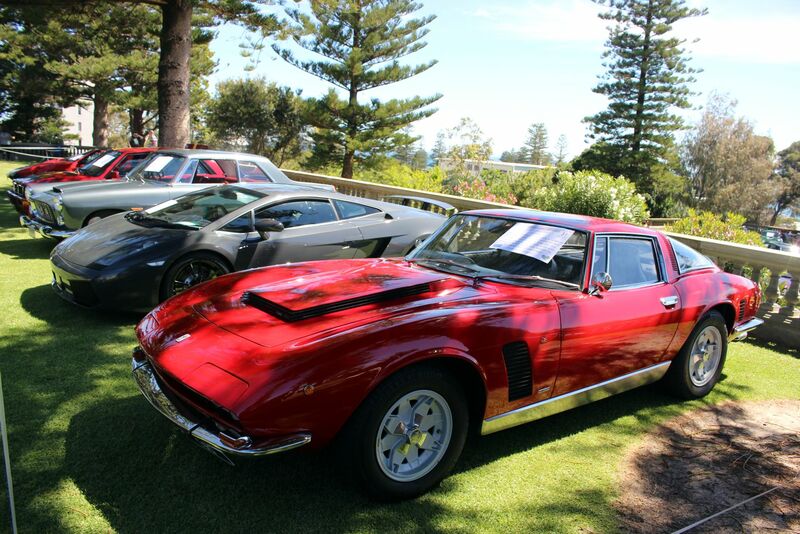 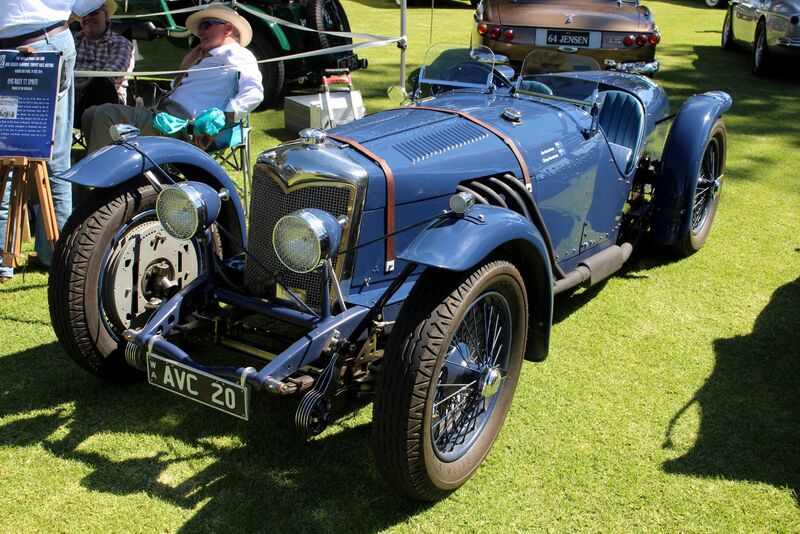 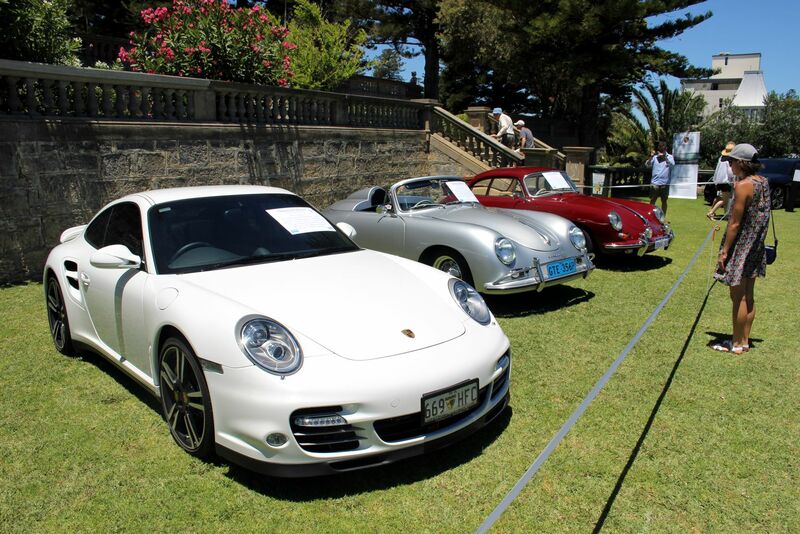 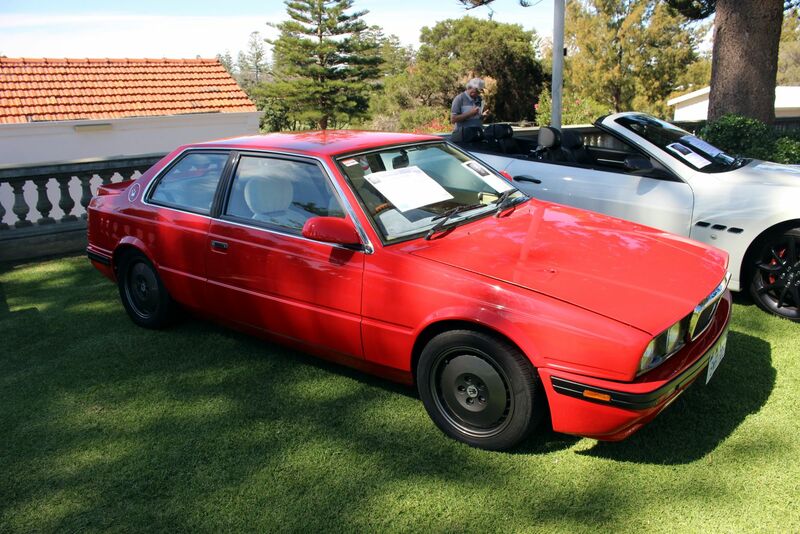 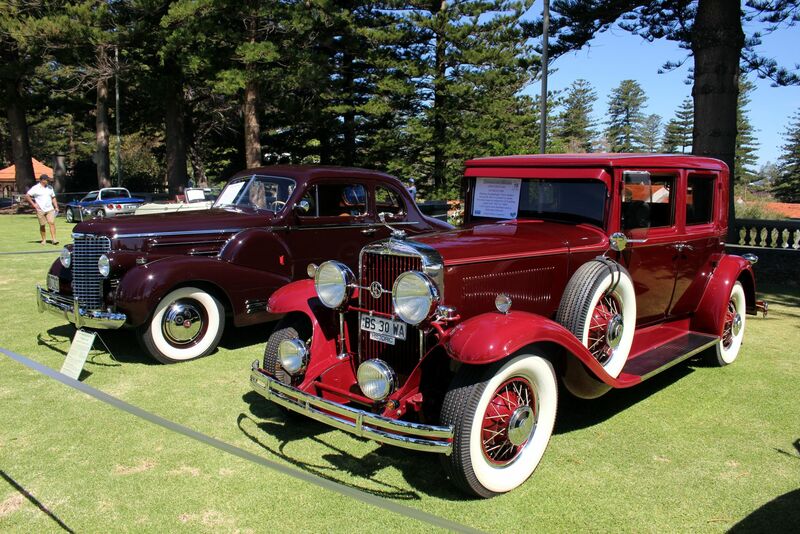 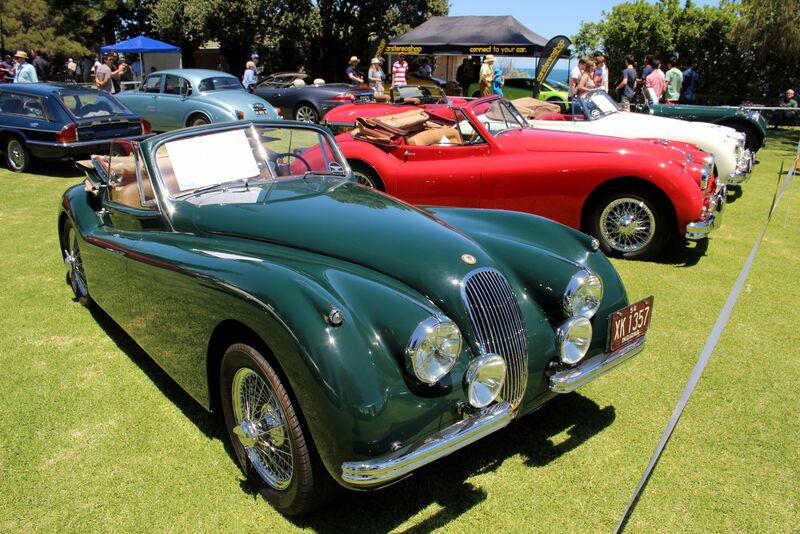 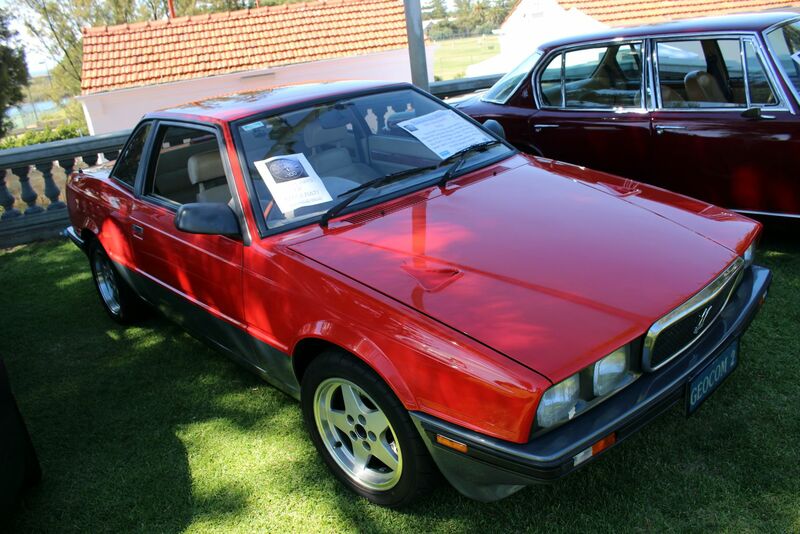 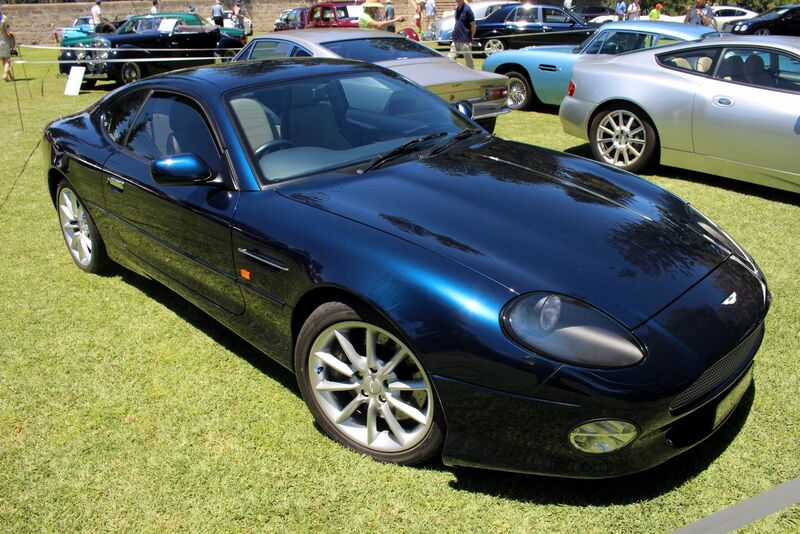 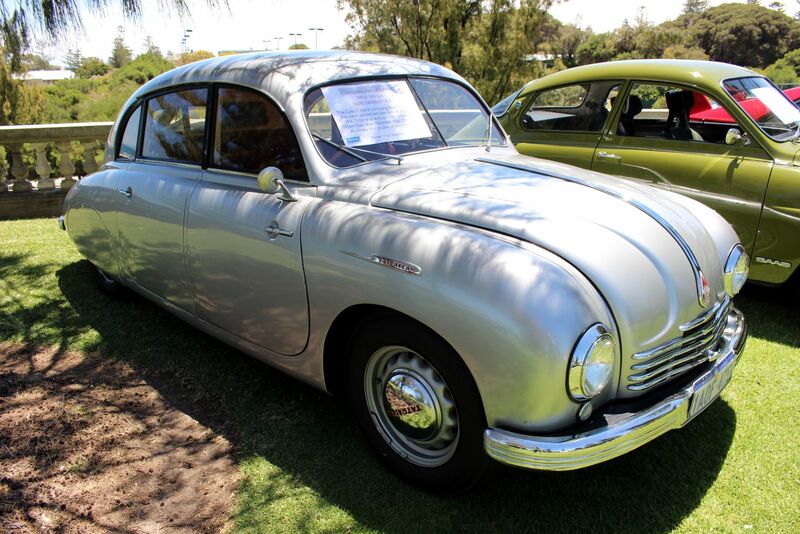 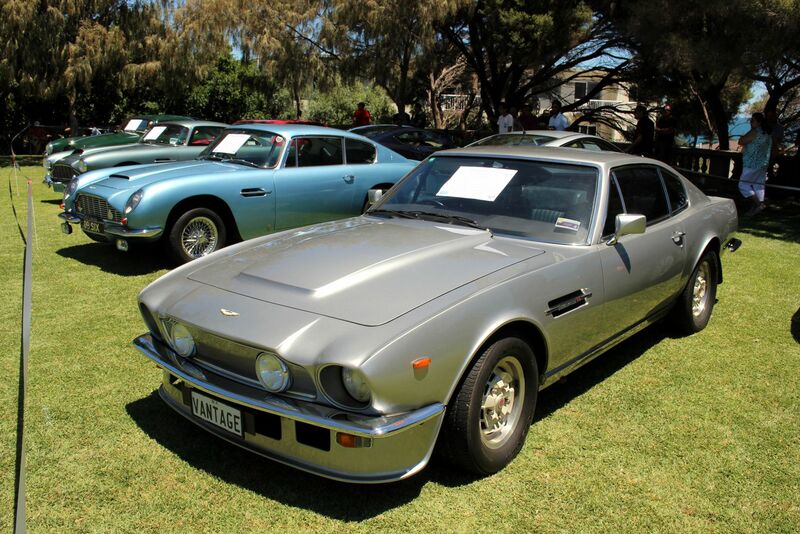 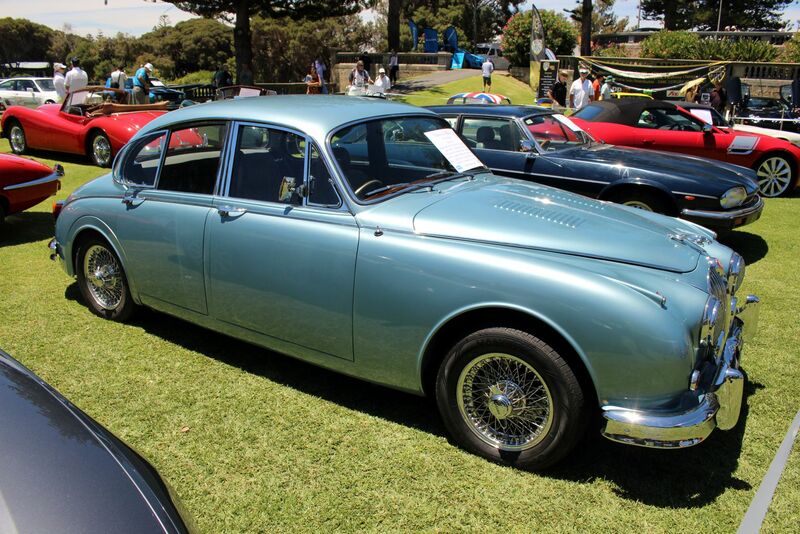 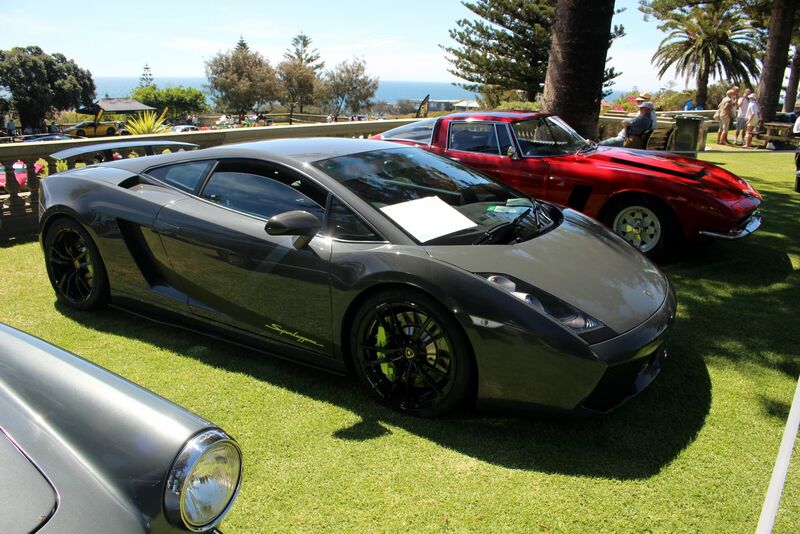 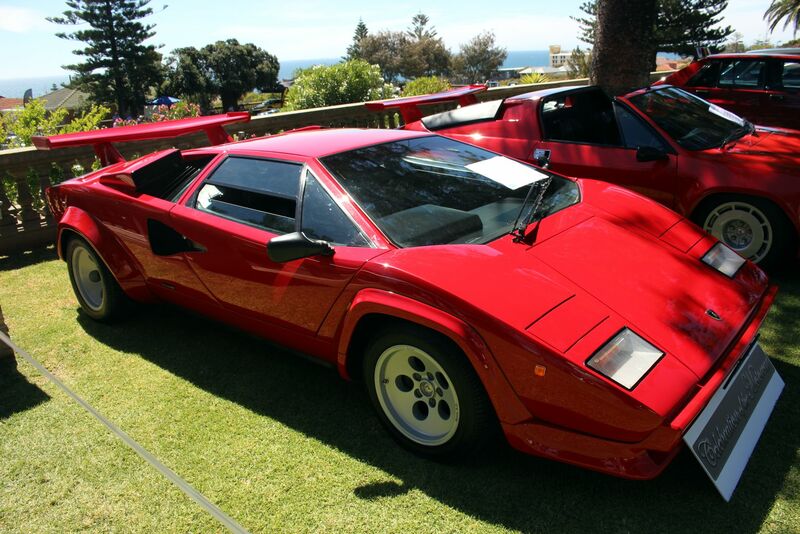 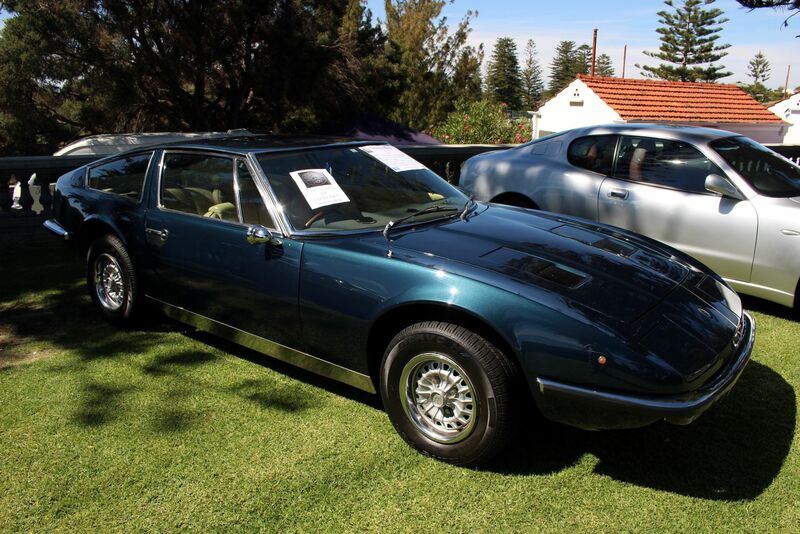 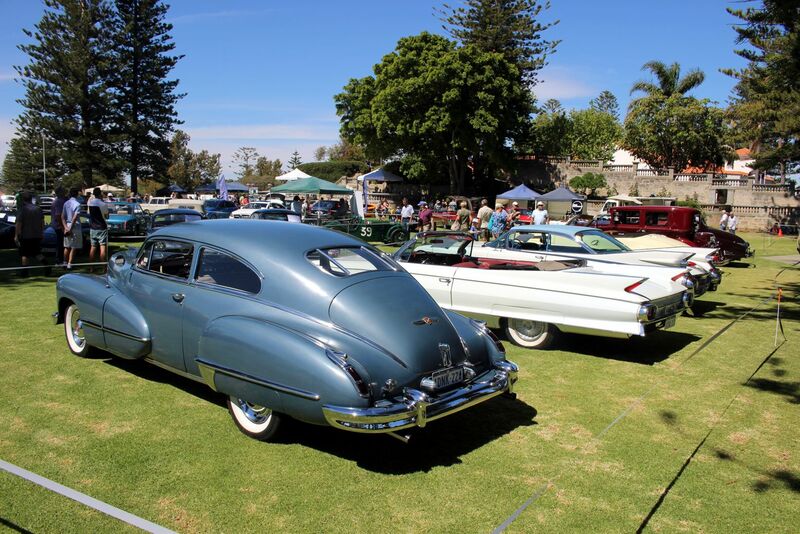 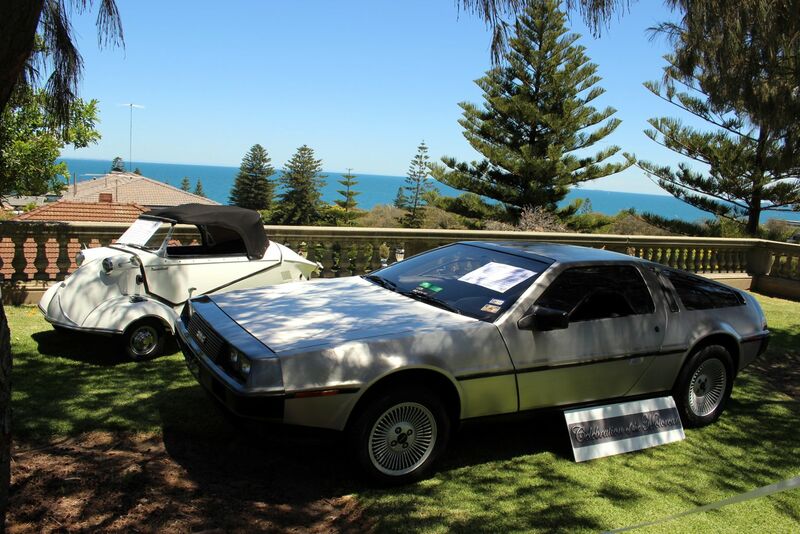 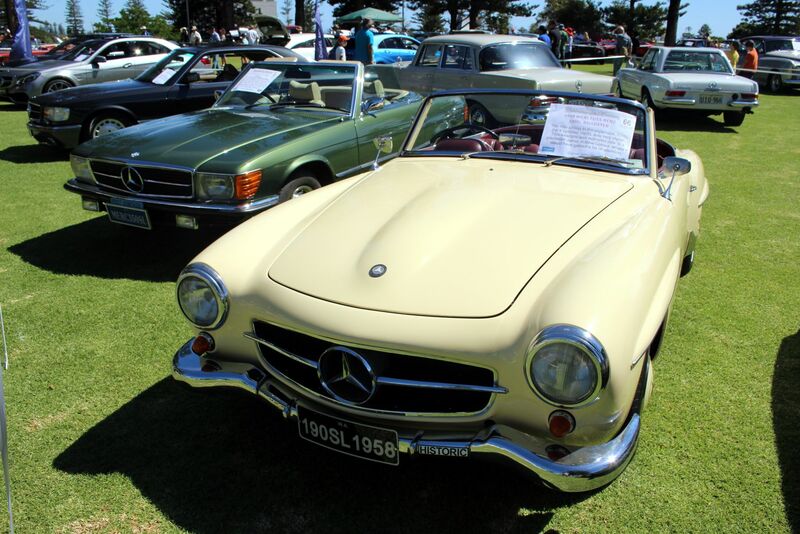 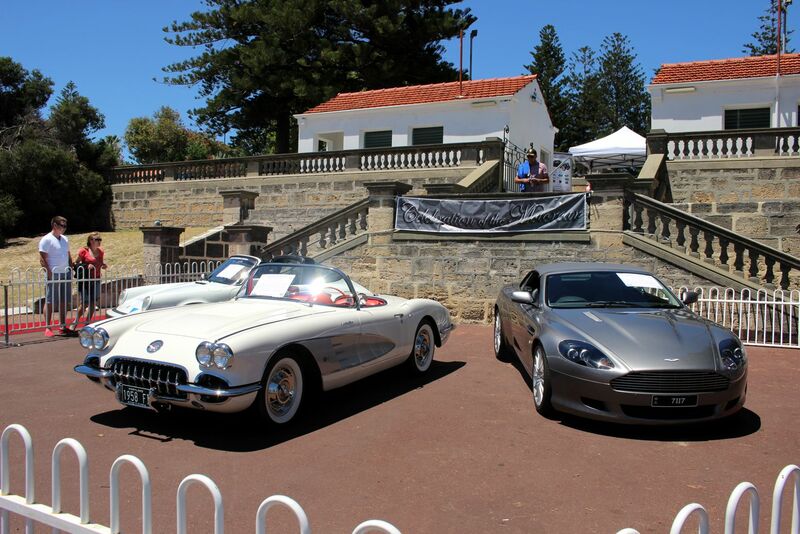 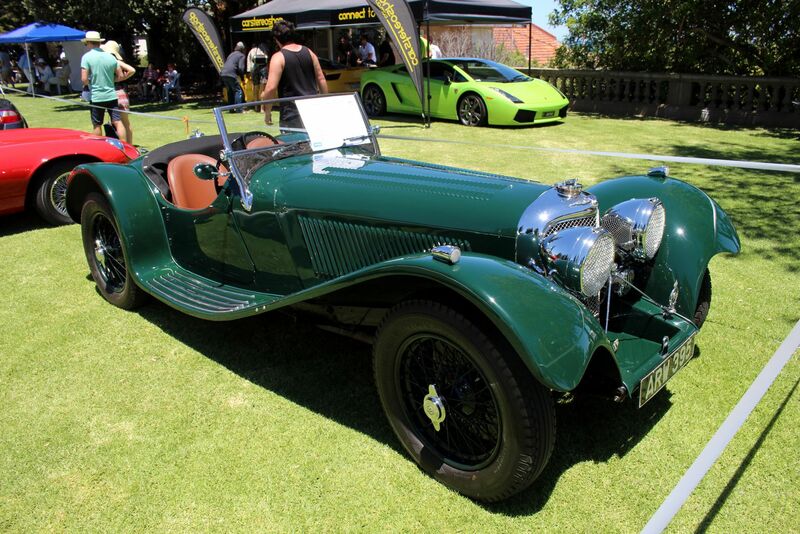 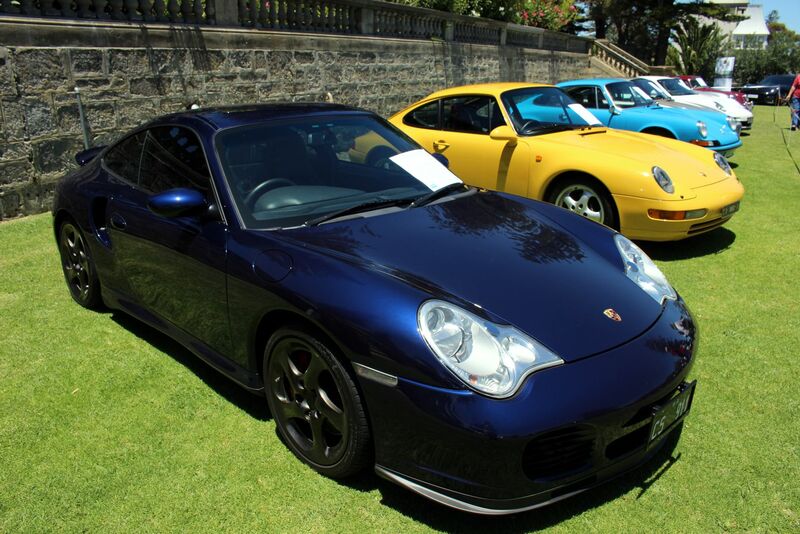 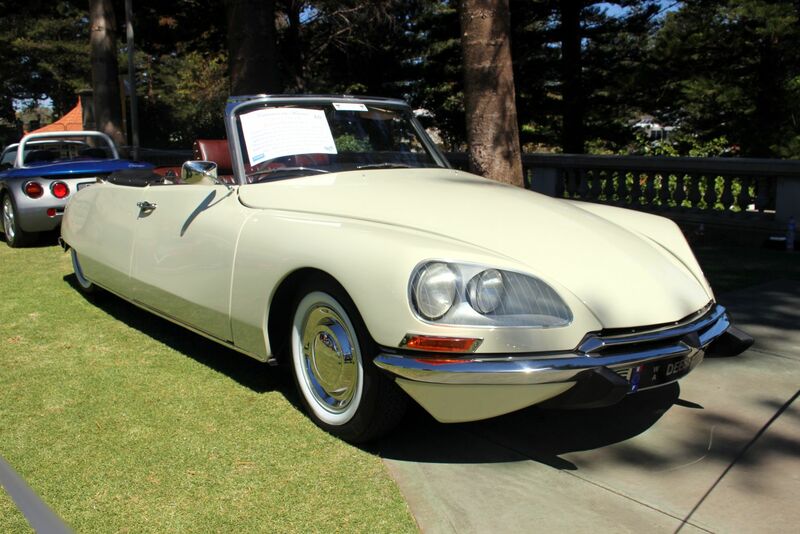 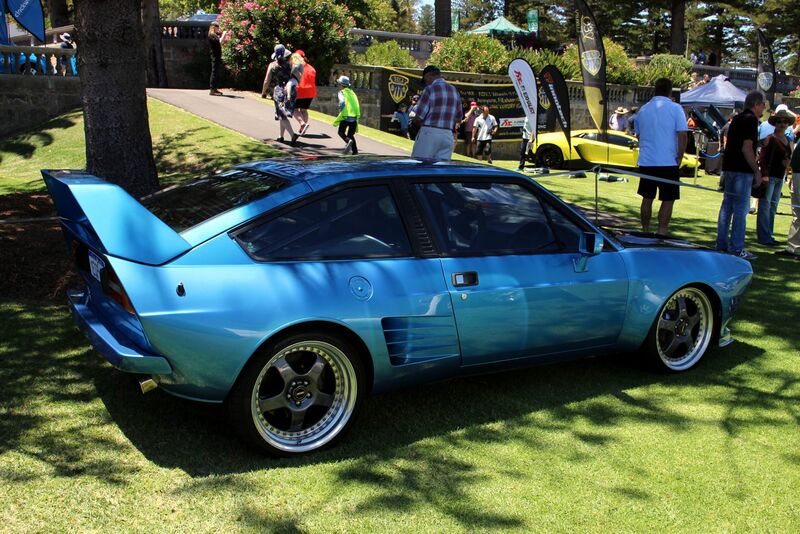 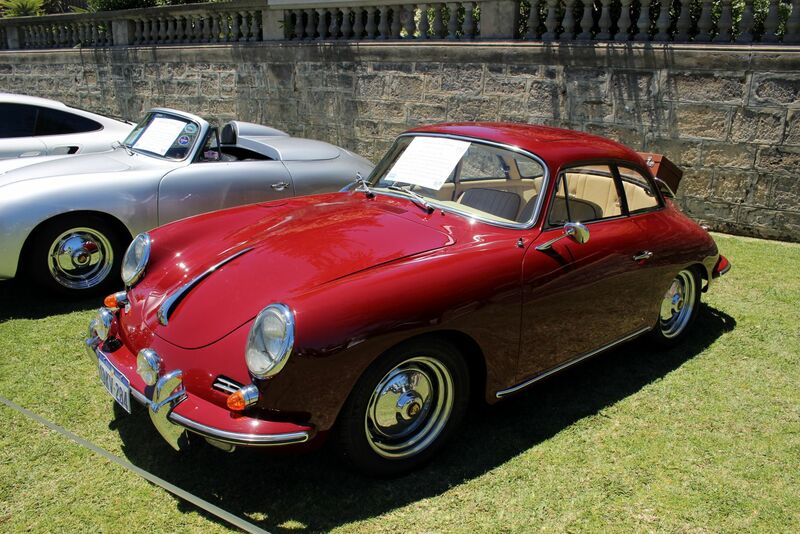 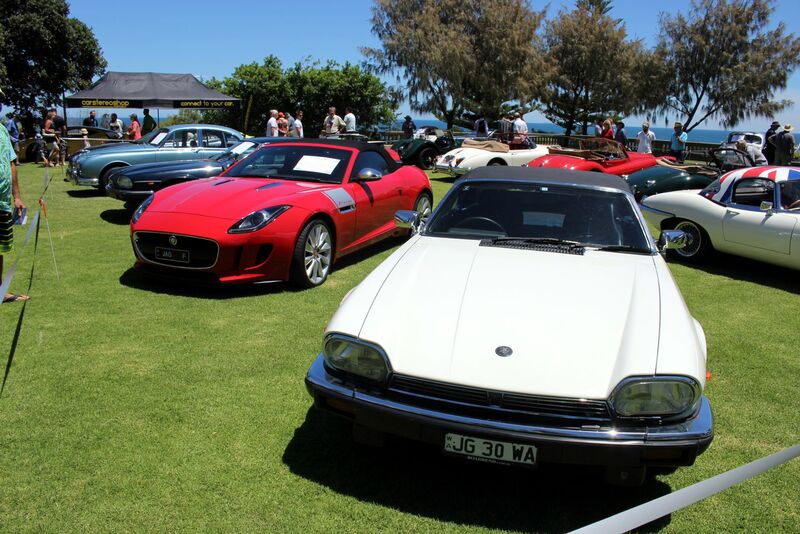 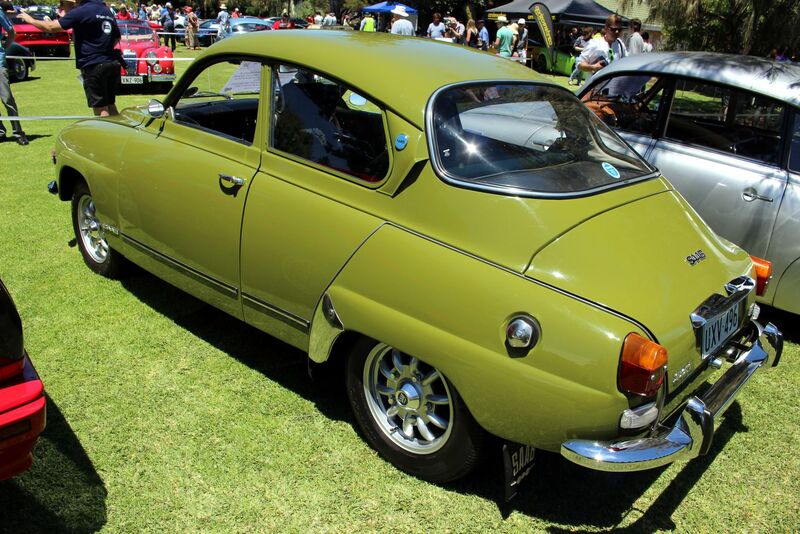 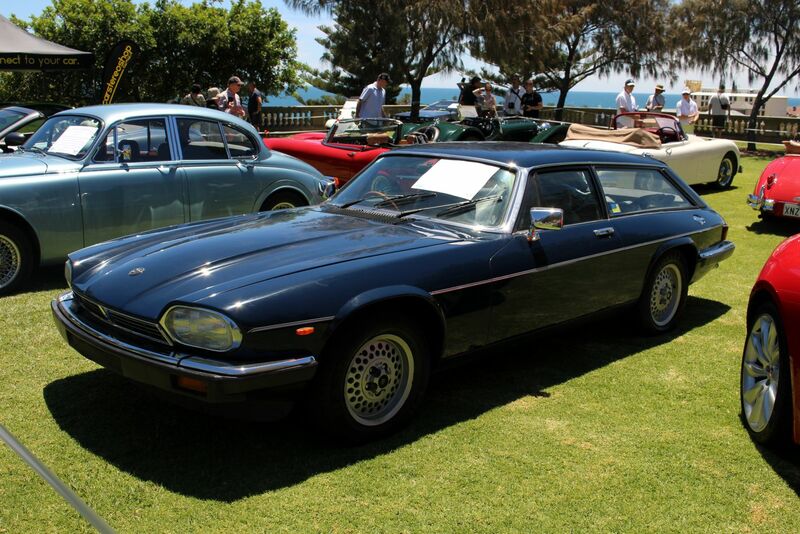 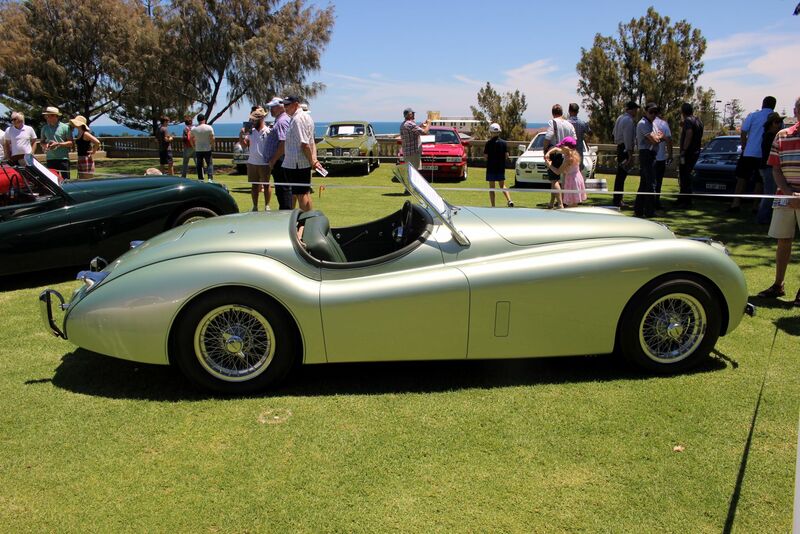 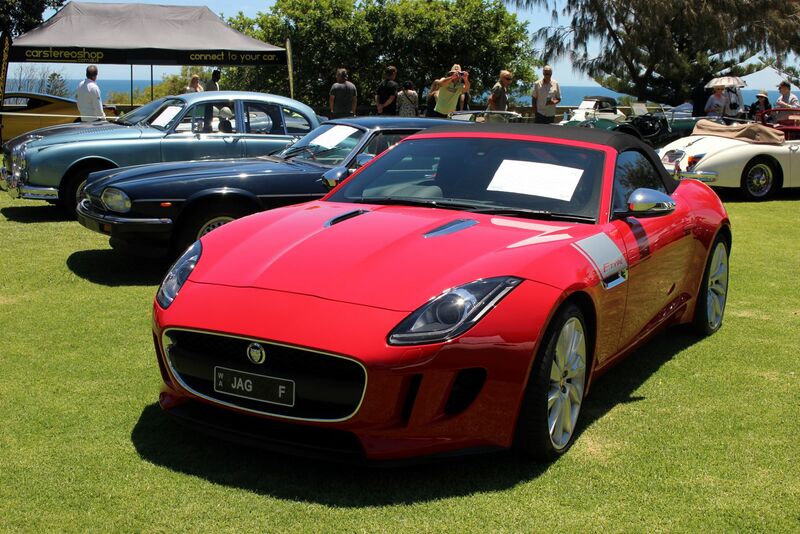 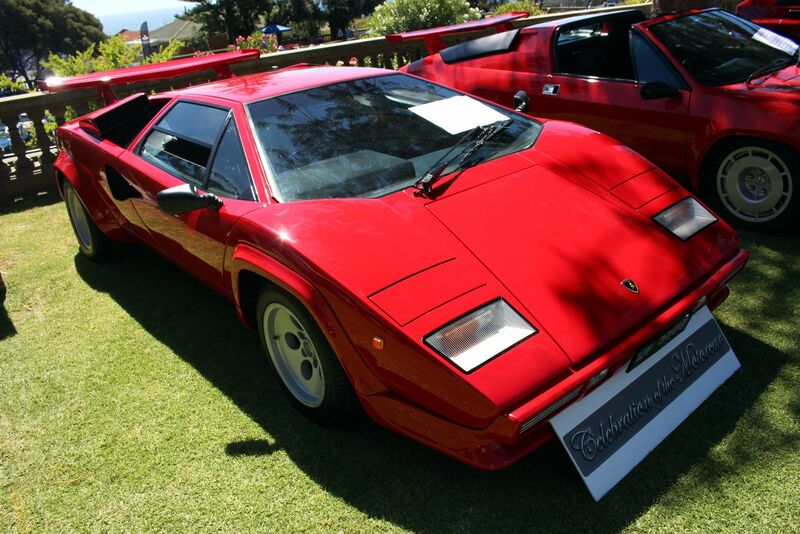 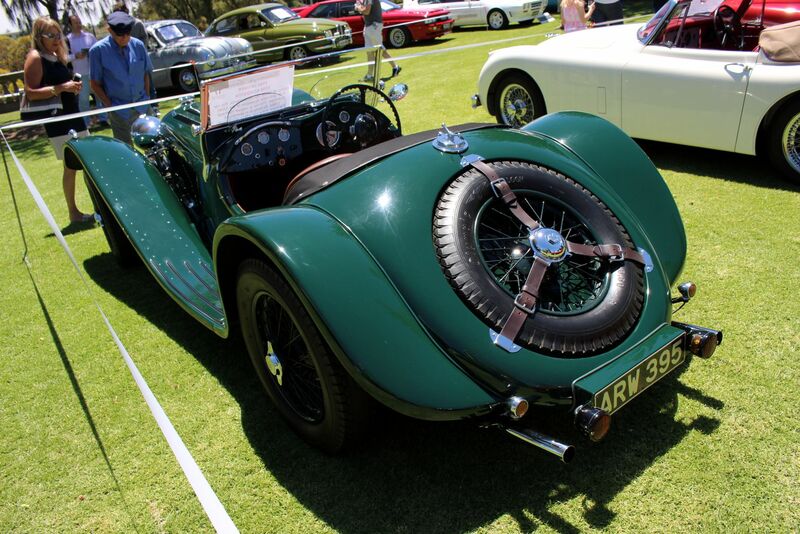 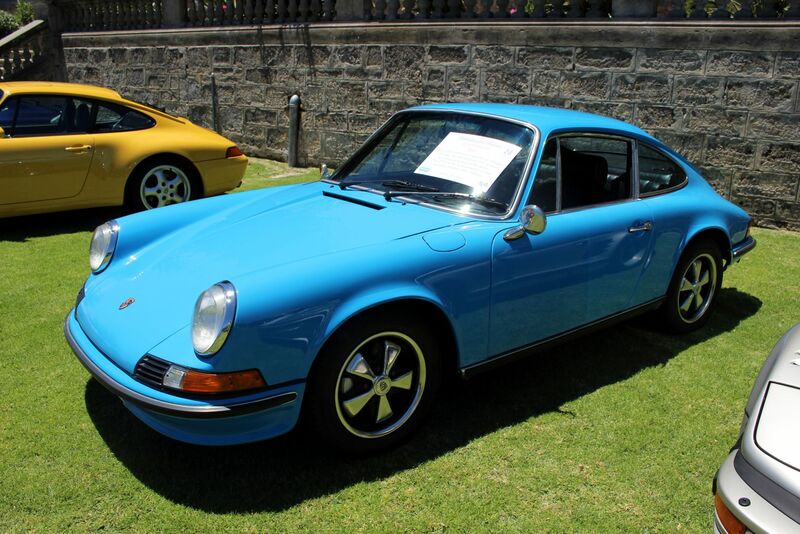 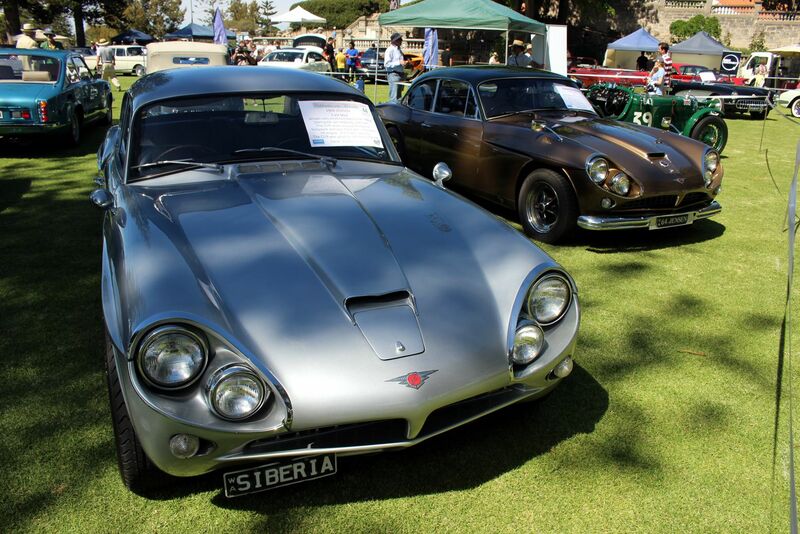 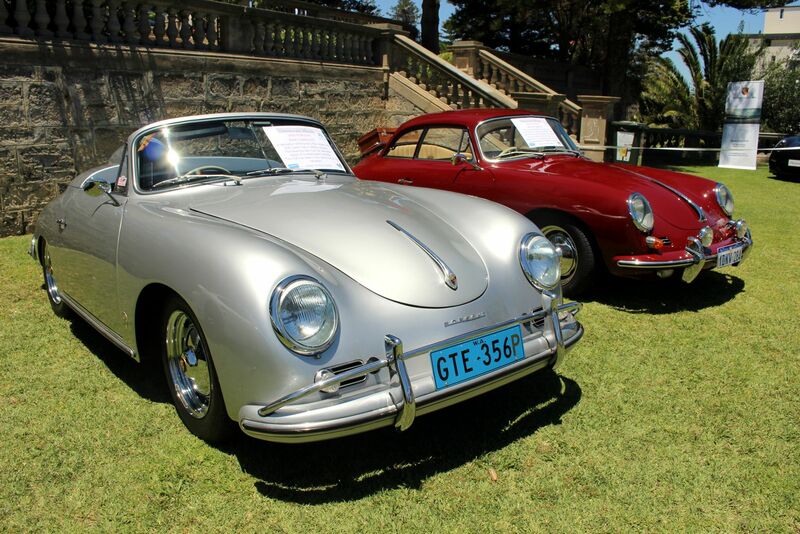 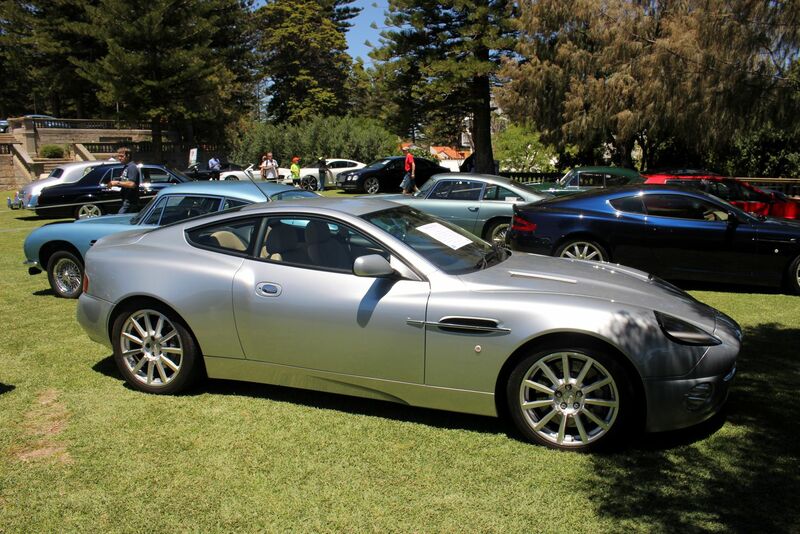 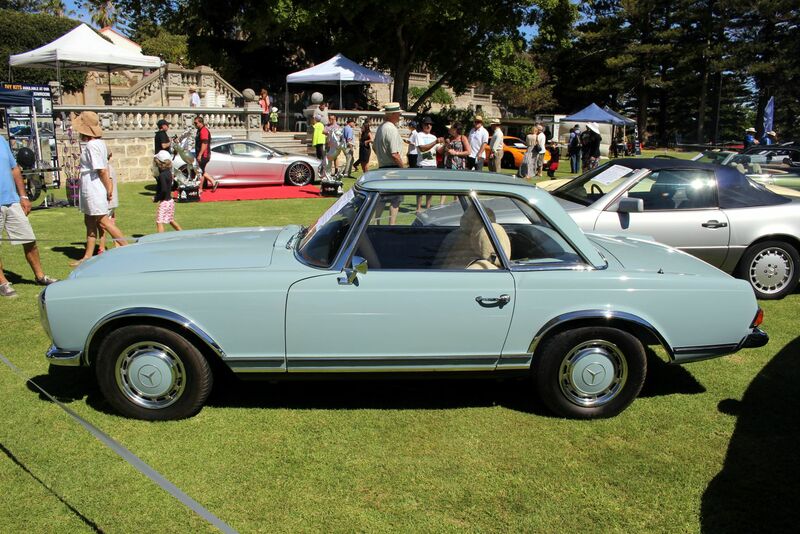 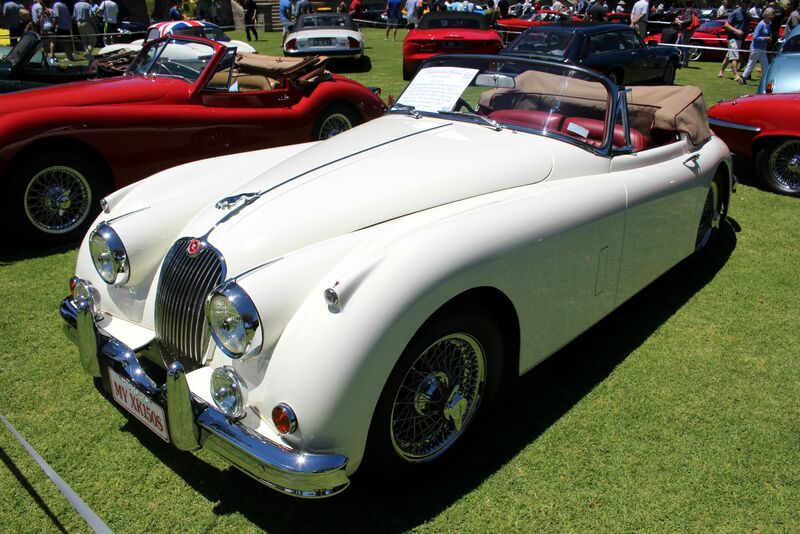 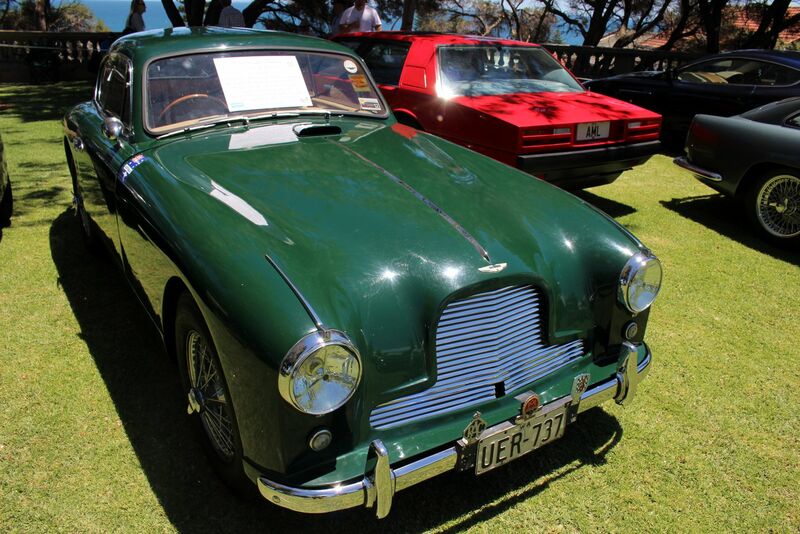 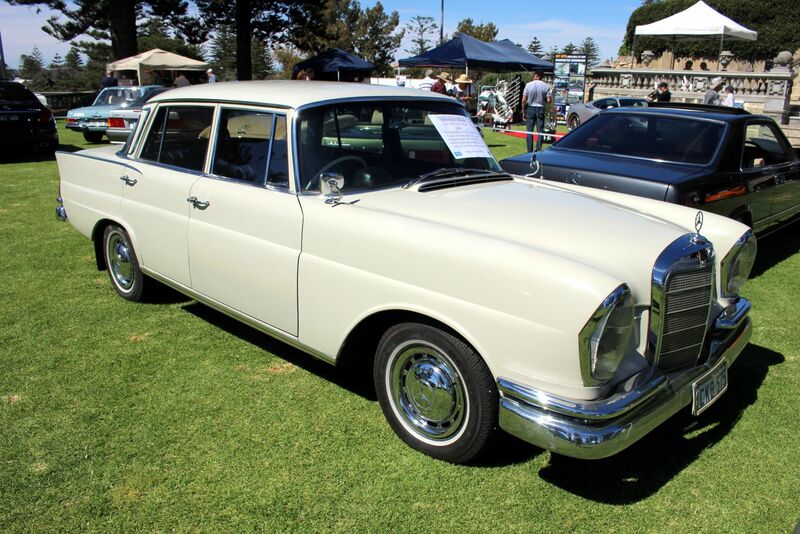 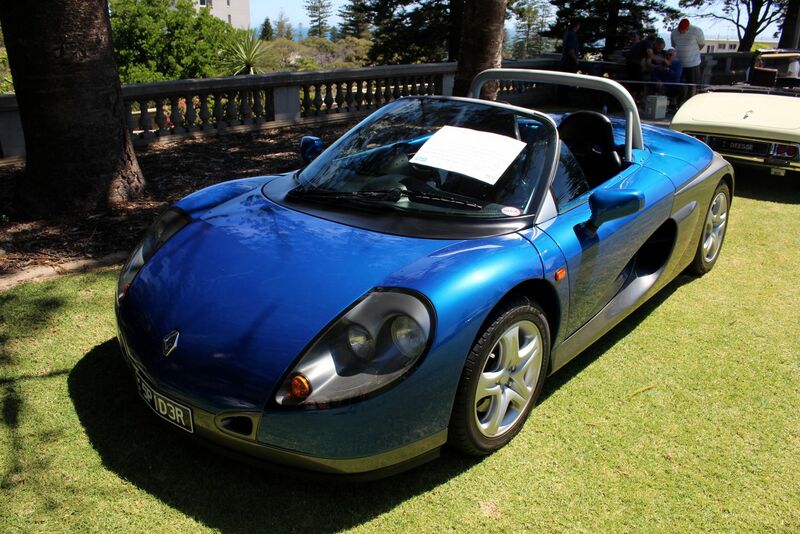 Classic Sports Car – The Peter & Robyn Briggs Award – In recognition of their tremendous involvement in the collectors’ car scene over many years. 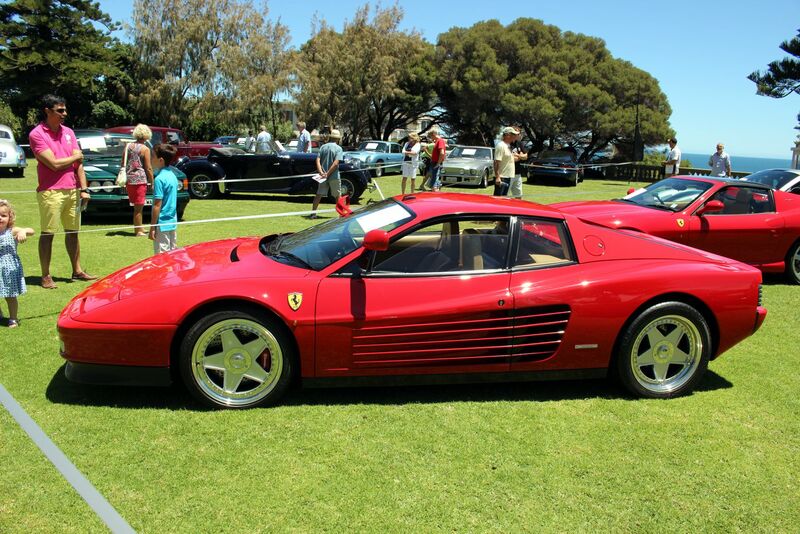 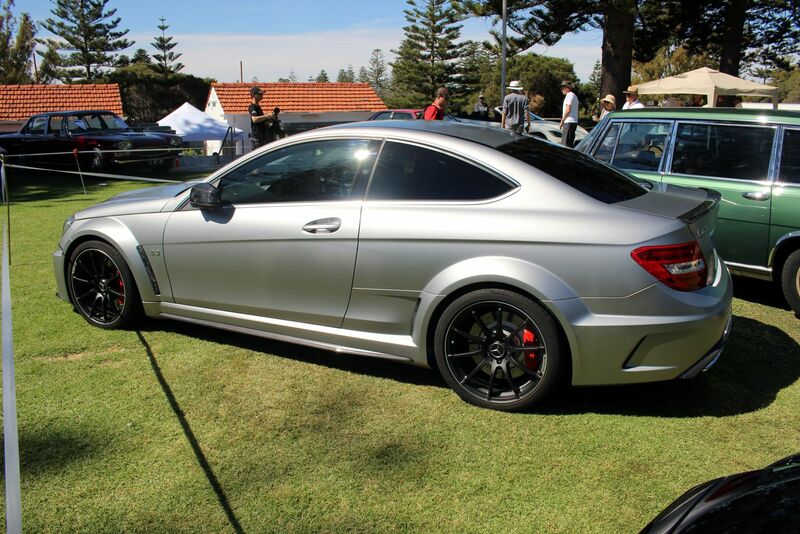 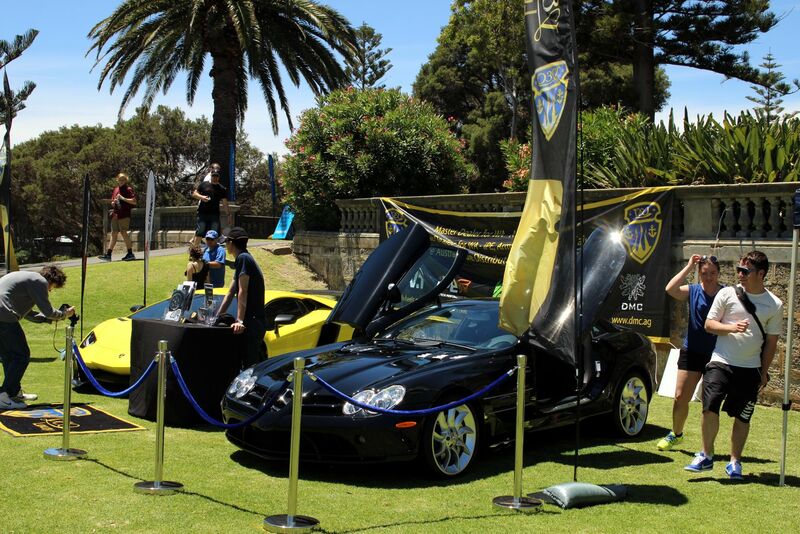 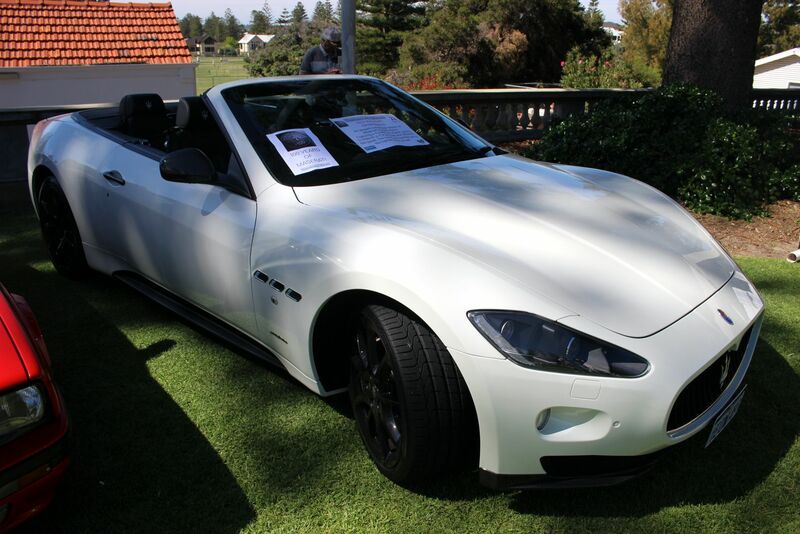 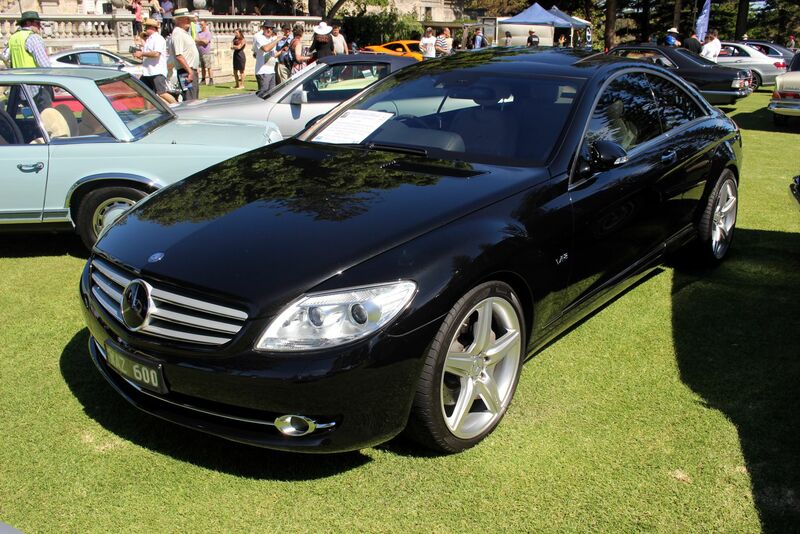 The first Mercedes-McLaren SLR to arrive in Western Australia.